Taking a break to write my book. I am not deserting this blog, but just taking a break until later in the Summer. I would never have been given the job by Bradt Guides without this site and I am eternally thankful for all your support through the years. Without your encouragement I would have given up long ago. Please don't abandon me now! 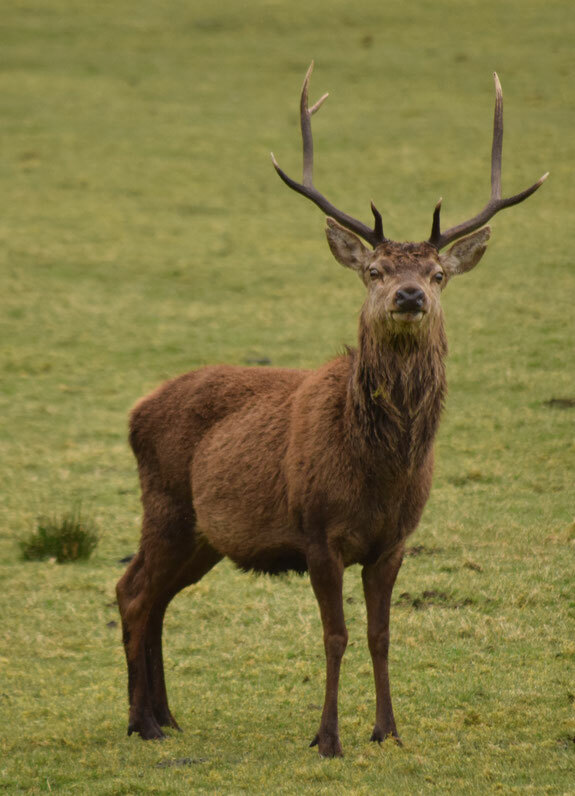 I will be back in a couple of months and in the mean time you can follow my travels around the Inner Hebrides, Scotland, on Facebook, Twitter and Instagram. The Gambia - an Introductory Guide. 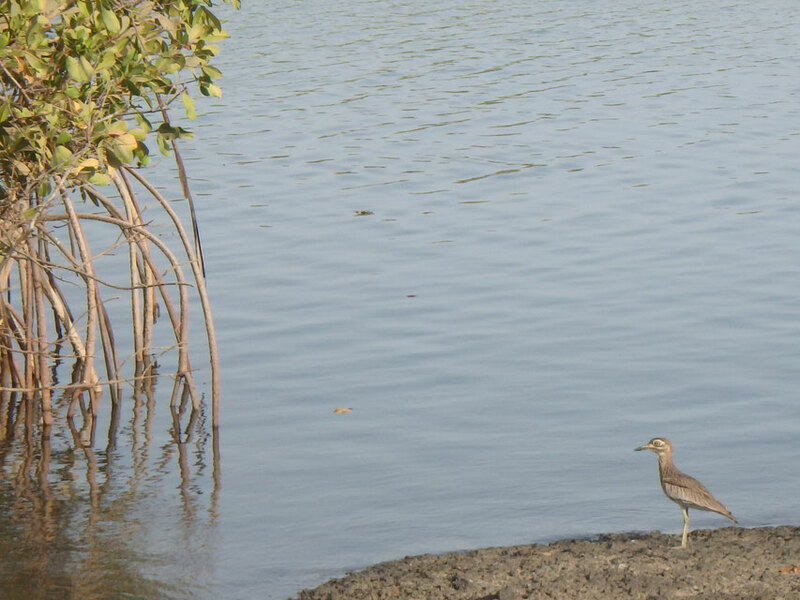 On the River Gambia, from Janjanbureh. I first wrote a version of this post for Anita Hendrieka, but I put a lot of thought and effort into it, so I wanted to share it with you here too. Over the past decade, I'd spent plenty of time exploring Europe and South America, some in South East Asia and even Oceania, but was ashamed to have never ventured further into Africa than Morocco. I didn't have any idea what to expect from The Gambia although, having studied History, I had no illusions as to why this tiny river-bank country in West Africa spoke English. Our colonial past and resulting wealth is uncomfortable and unavoidable, but I felt very little of the resentment I expected. Life has been, and continues to be, very hard for the majority of Gambians. Wages are extremely low and there is a lack of opportunities for young people which increases the further east you travel. Despite this, Dan and I were usually treated with warmth and respect, never felt at risk of a crime (a notable difference from certain parts of South America) and was guided through the country like a baton in a never ending relay race of people offering to help. Travelling east, “up-country”, where the taxis turned to donkey carts and people were still surprised to see us was easier than we'd imagined and I believe that we would have had a very different experience had we spent our time in cities and tourist beach resorts. 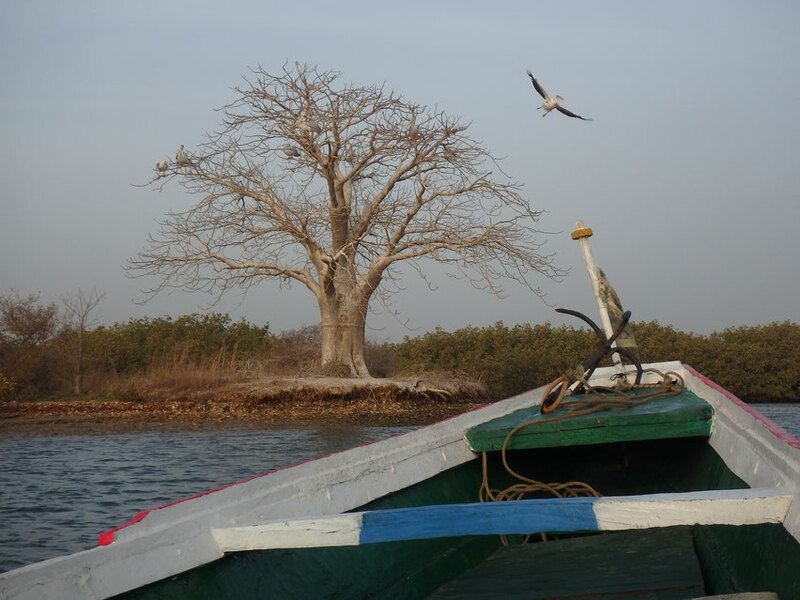 It is a country of violent seas, fishermen and complicated mangrove networks. The variety of birds is world renowned and my only naive resolution (to see a baobab tree) was completed countless times within the first week, but (for me) The Gambia was about Gambians. Laugavegur, near Hrafntinnusker in June. I've worked as a warden along the Laugavegur trail for the past two years and these are all the things that I always wish hikers/campers knew before they arrived. This information is not official, but just from my personal experience. It is not a substitute for talking to the wardens in the Information Office when you arrive; there are some things which cannot be checked online. The hike is very dependent on the weather and other conditions on the trail. 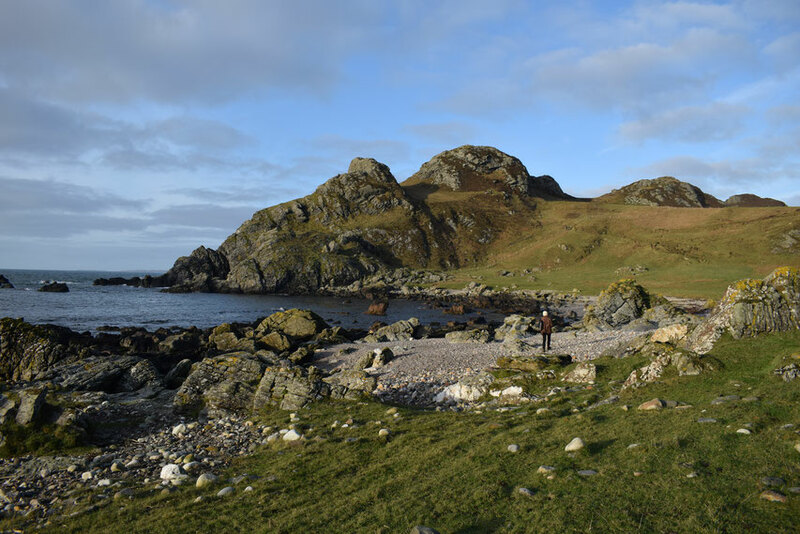 Christmas in Green - Dogs and Beach Cleans on Islay, Scotland. Why 2019 is as good a year as any to try and save the World. Sagres, Portugal - it seems like a long time since I have been able to wear a billowing sun dress. Twitter tells me that the German word of the year for 2018 is weltschmerz (n.) - the feeling of depression that comes on when you compare the current state of the world with how it could be ideally. However, in a continuing monologue from my previous post, I have reached the conclusion that we must continue to fight "the good fight" in whatever ways we can feasibly manage [even if they seem pointlessly small by themselves]. I never really believed otherwise, but sometimes it would be a great relief to just forget about our impending doom for a moment. Unfortunately, we don't have time; climate scientists have warned there are only twelve years for global warming to be kept to a maximum of 1.5C, beyond that point even half a degree will significantly worsen the risks of drought, floods, extreme heat and poverty for hundreds of millions of people, not to mention the effects on our ecosystem. The oceans are drowning in plastic, habitat for our dwindling numbers of remaining species is being eradicated as I type, we are still ignoring the millions of refugees and homeless people worldwide and we seem totally unable to tackle the vast inequality in our own country (the UK for me), let alone internationally. We need to do something dramatic and I am so proud of all my friends who are trying. Personally, I am starting small as I am not sure what else to do right now. Train Brain Splat - "How to Save the World?" Loop. Desires for less and more jostle under my consciousness. I can't settle. I'm chasing an ever-elusive "enough", but am always swamped or somehow lacking. The thought of this perfect life, shaved of excess, weighs on me. My things totaled fill me with guilt, I'm ashamed of my consumption and the ease of my existence. Privilege is not merit based, we cannot buy "content"* and maybe happiness only exists in retrospect. The earth is on the brink of implosion but, with varying degrees of drama and self-importance, we've been saying that since time began—Apocalyptic Literature—I studied it. To justify our existence in the Universe we have to exaggerate our impact, if only to ourselves. Maybe we could save the World? Maybe someone... something? From sunrise to sunset, for now we're in the half-light. Sometimes I feel like my words are just a vessel to facilitate sharing a collection of (far too many) photos with you. Why are phones so important to refugees? - introducing "Phone Credit for Refugees & Displaced People"
It's nearly two years since I left Calais. The refugee crisis is less of a deafening scream, swallowing my other thoughts. Now it is more of a solid lump, a quietly judgemental resident in the side of my mind; we are cohabiting the space and doing a somewhat reasonable job of getting on with another sort of life. This isn't about my head though; this is about the group "Phone Credit for Refugees and Displaced People". Observant readers will have noticed their link at the bottom of my site and anyone who follows me on social media was probably bored of hearing about them years ago. "You don't even have a smart phone Katie! You haven't checked your voicemail for three years! Why do you care so much about refugees having phone credit?!" I hear you protest. Moving East; to Winter's Edge. Over the last six months, this blog has become a hikers' instruction manual. My "warden" job in the highlands is totally immersive — I love it for that — and there is little space in my brain for any other line of thought. Since we left, I've lost my focus; I've been stuck in my head and forgotten how to write it out. 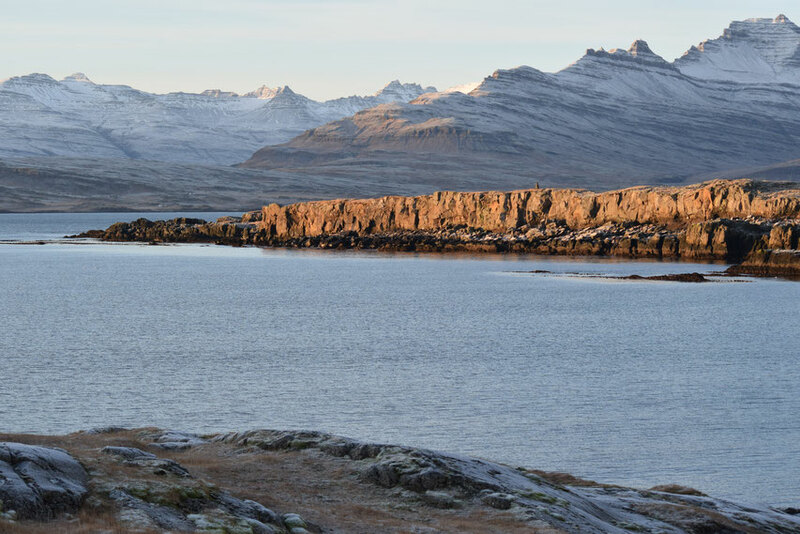 Those of you who only check this site* will be totally unaware that we have moved to the East Fjords. It feels like about time to show you what it's like. *I post photos on my facebook page most days. Skalli — 15km day hike from Landmannalaugar. 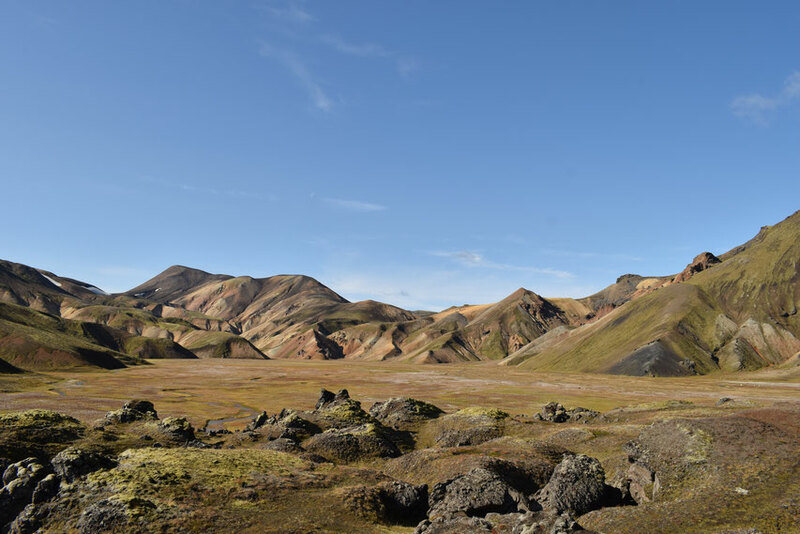 Skalli is a marked, 15km day hike from Landmannalaugar. The peak is around 1027m, but the path skirts around it on the southern side. Landmannalaugar is at 550m, so the elevation gain is probably something around 460m. Depending on your fitness, pace and ability, you should allow between six and eight hours to complete the loop. Unless you have a GPS devise (with the route saved into it), it is only advisable to attempt this hike in good weather and later in season — towards the end of July, August and early September — once most of the snow has melted [and you can see the stick markers]. The wardens in the information center can advise you whether conditions are suitable on any given day, so you should always talk to them before you set out. 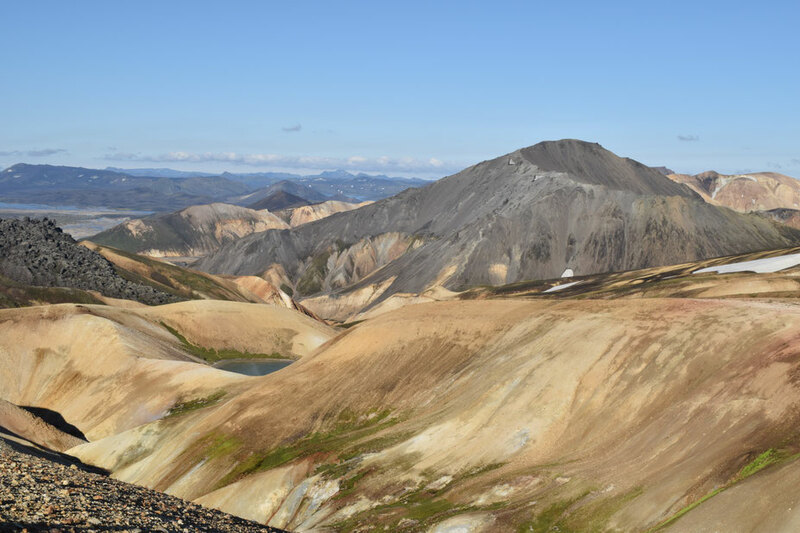 Don't be disappointed if it is not possible for you to do this hike as there are many other amazing day hikes around Landmannalaugar which are less weather dependant. Please note the the majority of these photos were taken on two incredible days of sunshine. You would be very lucky to experience such weather on a short trip to Landmannalaugar, but it is definitely worth checking the forecast before you arrive and planning your trip around it. Hiking the Strútsstígur — from Hvanngil to Strútur, Áftavötn and Hólaskjól. 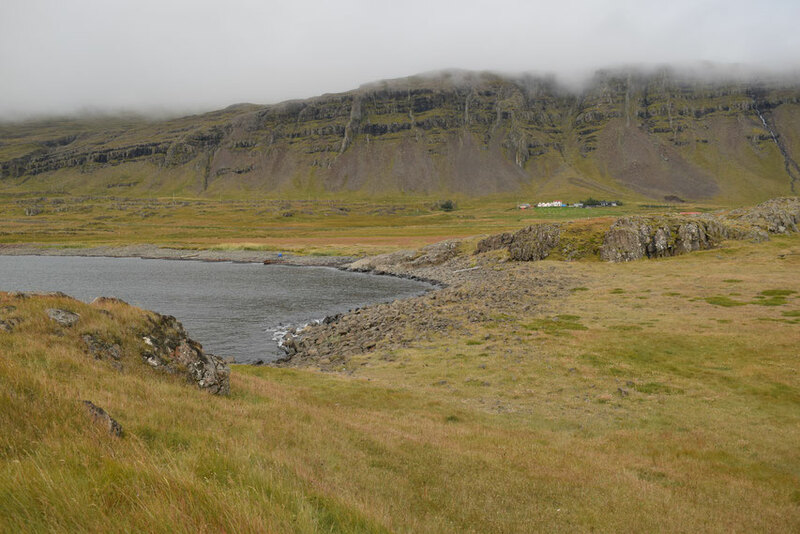 Strútsstígur is an unmarked path; it is not possible to follow indications or footprints. It is also not guaranteed that you will meet staff working in campsites or even other hikers. 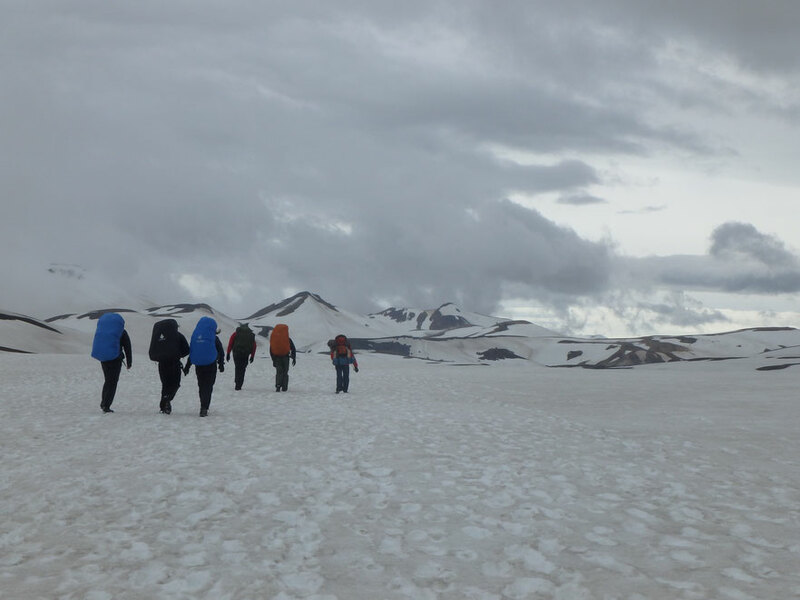 It is therefore, vitally important that you are experienced at hiking in Iceland, have a GPS and are entirely self-sufficient. I have added some useful information at the bottom of this article. How to check the weather before hiking the Laugavegur. 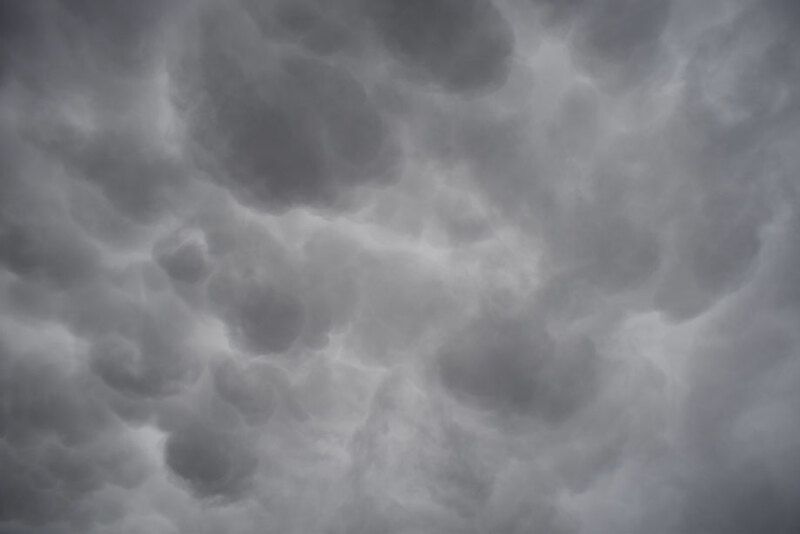 Being flexible with your timing and working around the weather forecast can make the difference between a great hike and a disaster. The two most reliable online weather predictions are www.vedur.is and http://belgingur.is (often more accurate for Hrafntinnusker). You should familiarise yourself with both of them. It is good to look some days in advance, but things can change quickly and you should not forget to make a final check just before you leave civilisation. Wind and rain are the most changeable factors which I have focused on here, but you should also be aware of general temperatures day/night, the effects of wind chill and decreasing hours of daylight. Fog comes and goes at will and your only real defence against it is a GPS device. Please read my Laugavegur preparation and packing list posts well in advance of your trip. 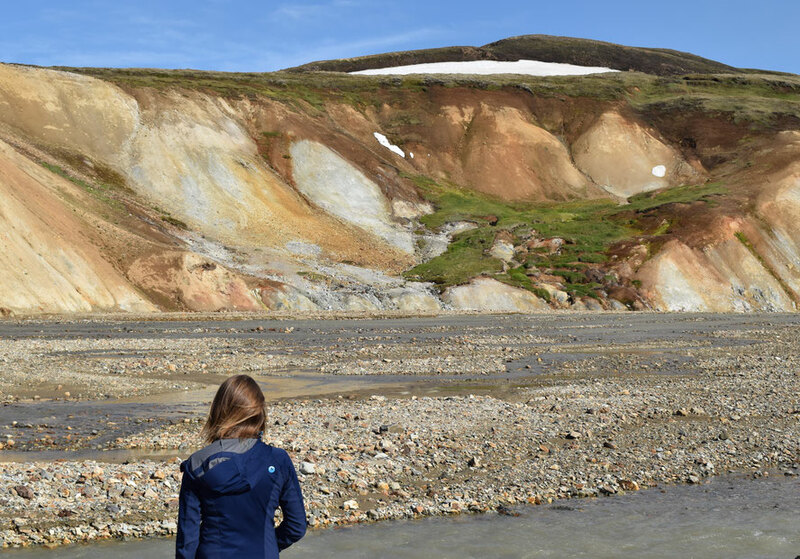 Always speak to the wardens at Landmannalaugar or Langidalur before you start and in each campsite you visit along the way, to ask their advice about weather and conditions. Up to date local knowledge is impossible to find online. 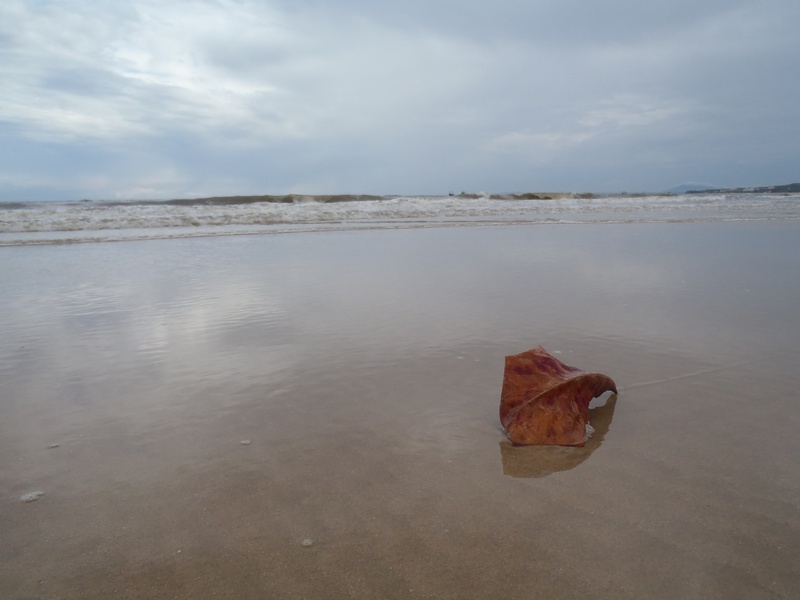 Behind the Scenery — Plastic Pollution and Some Small Ways to Help. 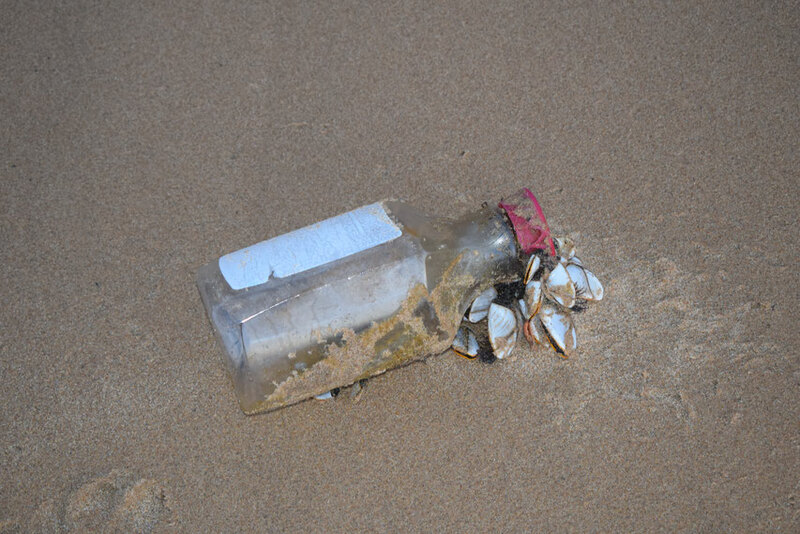 An "Innocent" juice bottle and doomed goose barnacles. Painfully brought to the public's attention by the genius series "Blue Planet II", plastic pollution has been a hot topic this year. As bloggers, photographers and general Planet Earth enthusiasts, it's easy to present the places we love as we wish they were; to crop out the ugly parts or direct our cameras elsewhere. This collaboration is an attempt to rectify the rose-tinted vision we have often portrayed. Nowhere is left unaffected by the plastic plague. 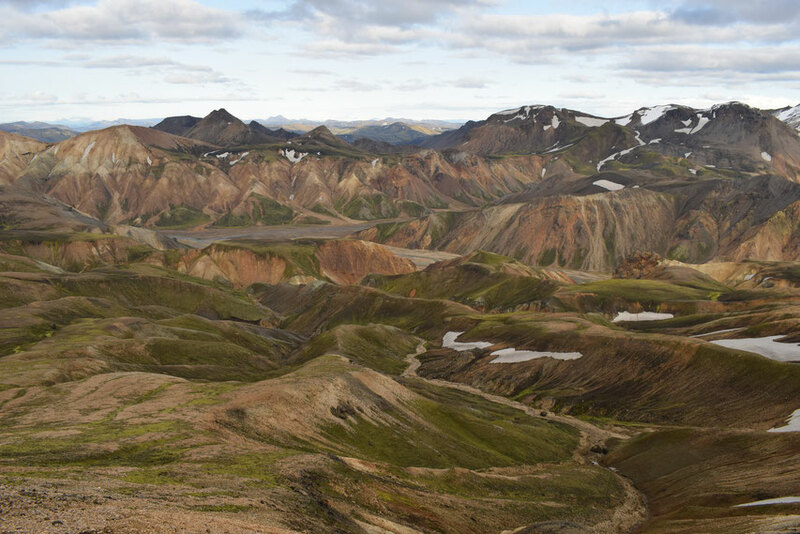 Short and Half-Day Hikes from Landmannalaugar, Iceland. I'm not going to pretend this is the "ultimate guide" or draw you a map as, having worked there for much of the last two summers, I know how important it is that you talk to the wardens at Landmannalagaur and ask for their most current advice. Please refer to the text at the bottom of this page for information you should know before you arrive. Friendly Soap - ethical soap and plastic-free shampoo. These solid shampoo bars are better for both rivers and people. I am starting this with a happy disclaimer - I liked my first Friendly Soap shampoo bar (and the company's ethics) so much that I wrote to them and asked if they'd like to work with me... They sent me some more things to try and sponsored this article. I hope that is fine with you, the reader? If you have a problem with me advertising on this site, please email me and we can talk about it. I have done a lot of research on ethics and sustainability and I will never, ever advertise a company I don't fully agree with. 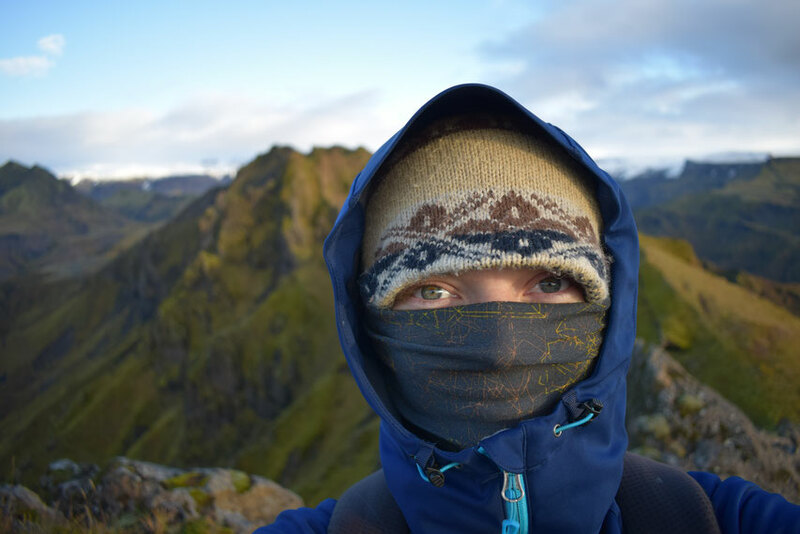 What to Pack for Hiking the Laugavegur Trail, Iceland. 2018 was my second Summer in the Icelandic Highlands. My job as a warden revolves around the Laugavegur hiking trail and its campsites. 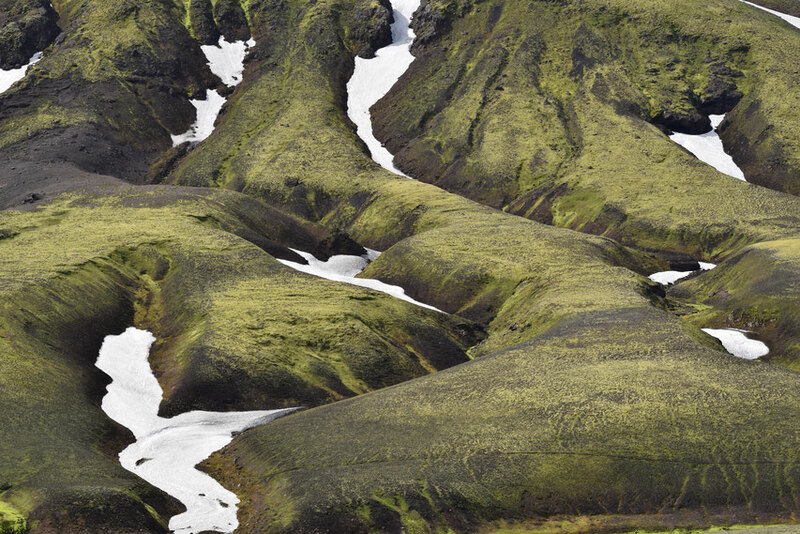 Passing through areas of colourful geothermal activity; across snow plains; over ice bridges; through vast, black lava fields; and finally down into a twisted birch forest with the view out towards two glaciers – all within 56km – it's no surprise that the Laugavegur is Iceland's most famous hiking trail. It's an incredibly beautiful trek, but for every nine people I've met having the time of their lives, there was [at least] one who hated it. Aside from a defeatist attitude or serious lack of physical fitness, the most certain thing to ruin your hike is the lack of adequate gear. 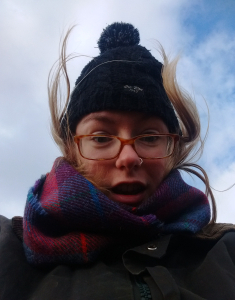 Though temperatures are not that much more extreme than many other places in Europe, the wind can get phenomenally strong and you'd be very lucky to pass a whole day without having to don your water-proofs. 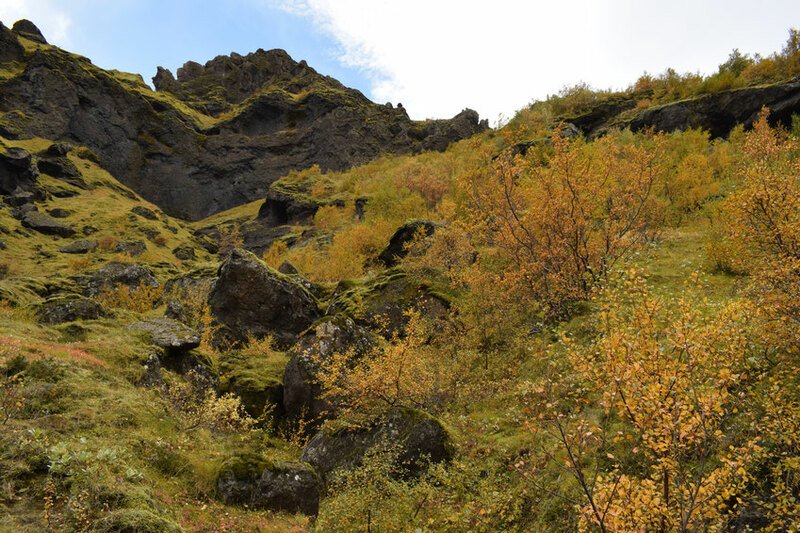 Before catching a bus to Landmannalaugar (or Þórsmörk), please also read these articles I wrote about how to prepare for hiking the Laugavegur trail and how to read the weather forecast. They include everything else you should know. Popenguine - Peace and Quiet on the Petite Côte, Senegal. 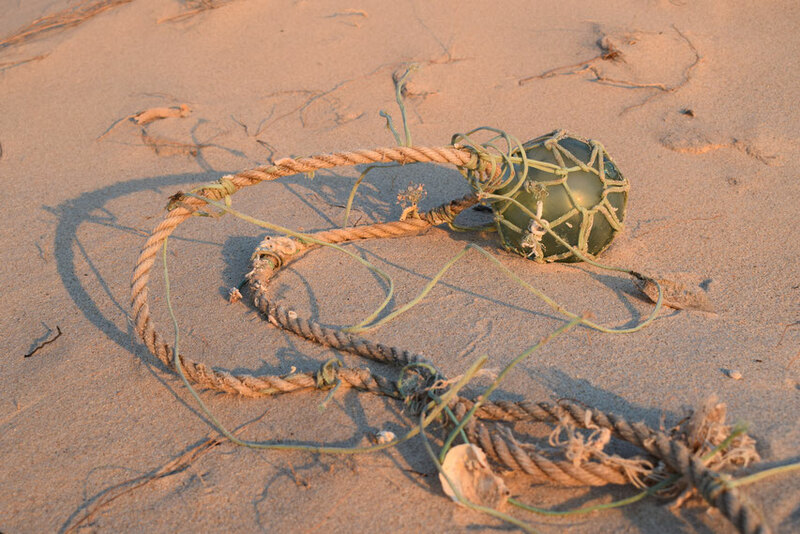 Calabash - a type of gourd. We arrived at Popenguine at the end of the Pentecost festivities. The streets were a mess of half-deconstructed market stalls, stumbling revellers and strewn plastic cups. Feeling tired from the journey, we were thankful to find that – apart from pointing us in the direction of the ancient church – nobody paid us much attention. There were a few other toubabs*, enough to make us unremarkable, but they mostly seemed to live there and (in May) there was little tourism to speak of. 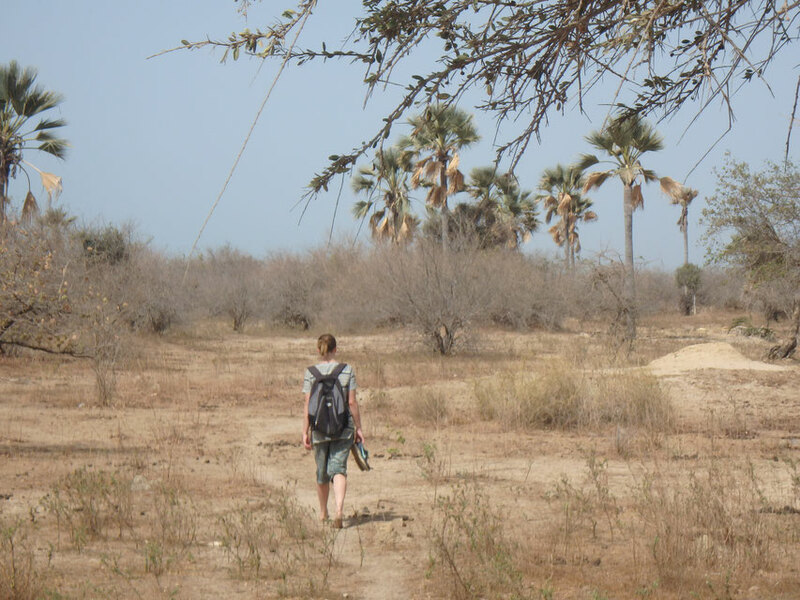 Backpacking The Gambia and Senegal - a Complete Packing and Pre-Departure Check List. Unless (like us) you are carting around bodyboards or other specialised equipment, there is no reason why you can't fit all your luggage into a "day pack", hand-luggage sized bag. The warm weather means you can usually wash and dry things within a few hours, but if you do find you need more clothes, a visit to a fabric shop and tailor is fun and affordable (between three and ten pounds for a shirt in The Gambia) and second hand clothes markets are common. Almost anything broken can be fixed, so make sure you ask around before throwing stuff away. "Un Peu" de la Petite Côte and Plenty of Pelicans at Mar Lodj, Senegal. 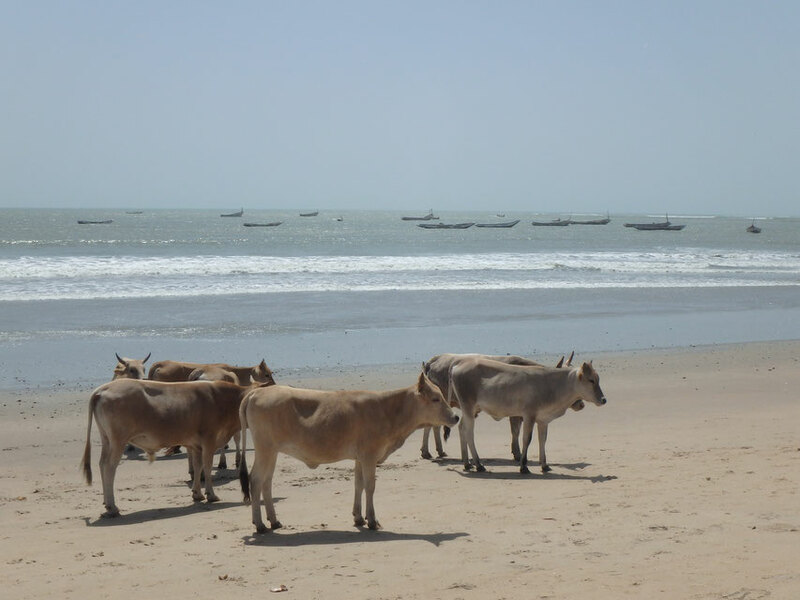 After crossing the border into Senegal, we made a bee-line for the coast. We were looking for surf in Toubab Dialaw; it took three days to arrive. 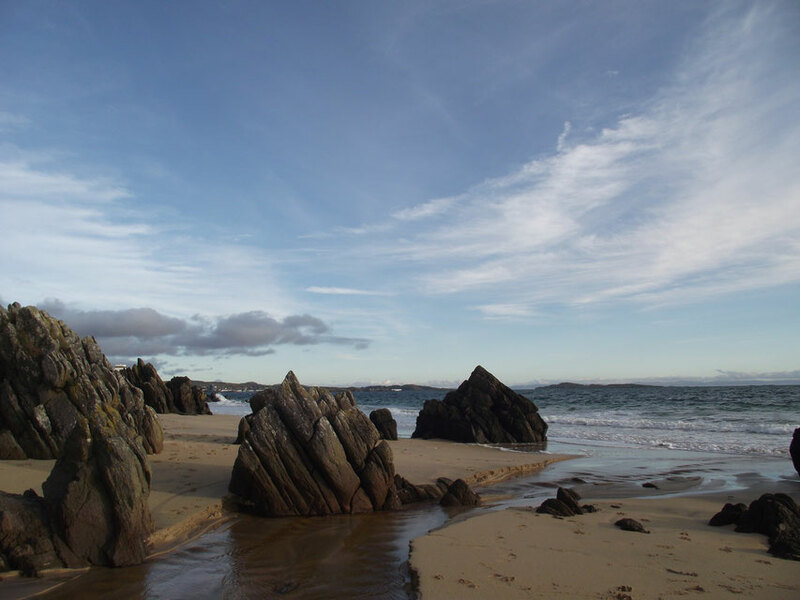 We walked south, right out of the village, to where women were collecting rocks from the sea and then a little further, and bobbed in the waves like seals. When it got bigger, the ride was short and dumpy, smashing Dan into the sand and grazing his head. It didn't stop him trying again of course. 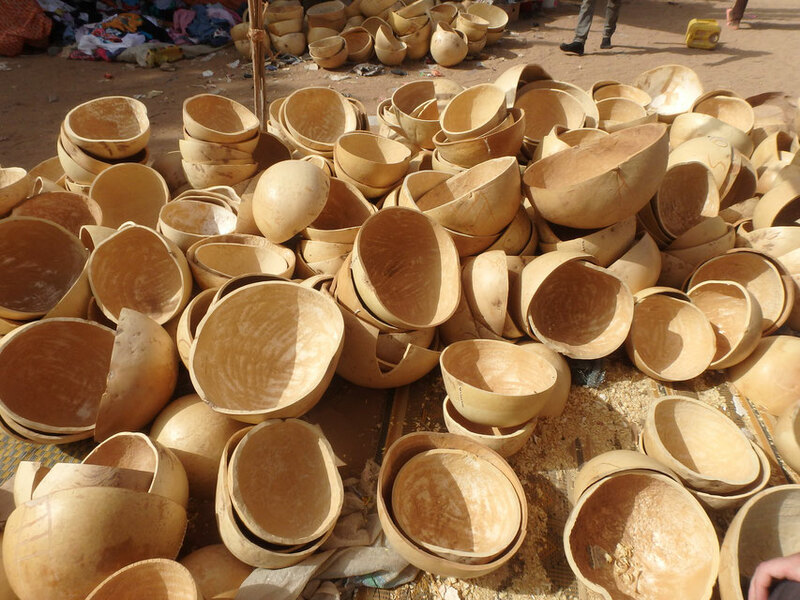 A somewhat unrelated photo of Gambian attaya making paraphernalia. 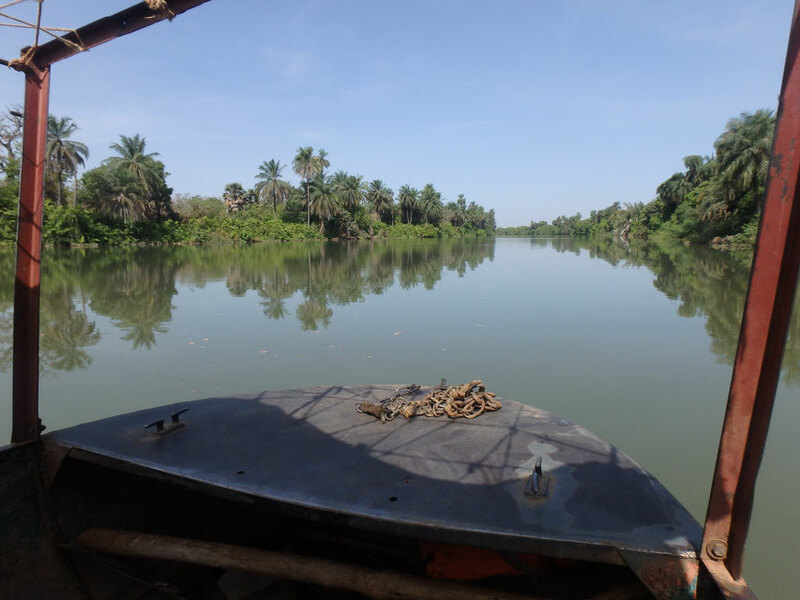 Slowly, slowly up the river Gambia - from Sanyang to Bwiam. From Bwiam to Basse, but mostly around Janjanbureh, then back west along the North Bank. If you are looking for pre-departure packing and preparation tips for backpacking in The Gambia and Senegal, I've written a whole post for you! Travel onward from Bwiam was hot and mildly confusing. Initially we caught a big bus to Soma. Out of the window, what limited modernity we had become accustomed to dropped away; roofs changed to thatch and houses shrunk, men began to wear robes more commonly than t-shirts and horse carts soon outnumbered private vehicles. Soma was predominantly a busy intersection, swirling with dust and criss-crossed by semi-panicked donkeys. We went to check the bank for an ATM and were greeted by a nervous, armed security guard, his finger on the trigger, who seemed eager for us to leave. It was much more confusing than threatening. 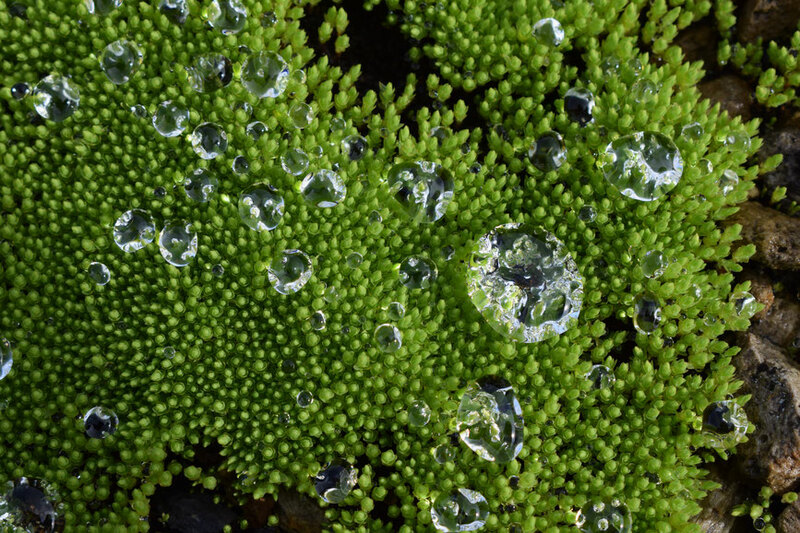 We quickly found a gelly-gelly bound for Janjanbureh. At any given time, it is rare to be further than thirty centimetres away from a baby on public transport. We provided in-transit entertainment or sometimes accidental terror. Up until that day we had found travel to be quite fun, but the novelty wore off as we waited for the minibus to fill up; trundled off after a bump start (nearly leaving Dan behind); and proceeded to stop what felt like one hundred times, once for as long as an hour, over as many kilometres. To the other passengers dismay (and our confusion) merely a tenth of the journey away from Janjanbureh, we were turfed out of that bus and onto another. Then we waited for that one to fill up. All in all, one hundred and eighty kilometers from Bwiam to Janjanbureh took us seven and a half hours. 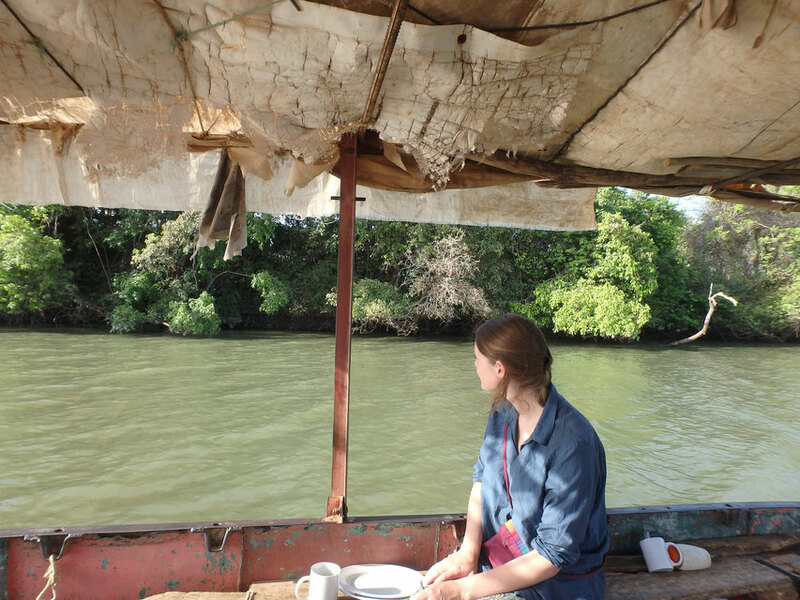 Dan was getting an increasingly bad back and upon arrival, we accidentally paid one hundred dalasi instead of ten for the five minute ferry crossing across the river Gambia. Finally, we arrived on the north bank dispirited, dirty and on the verge of heat stroke. 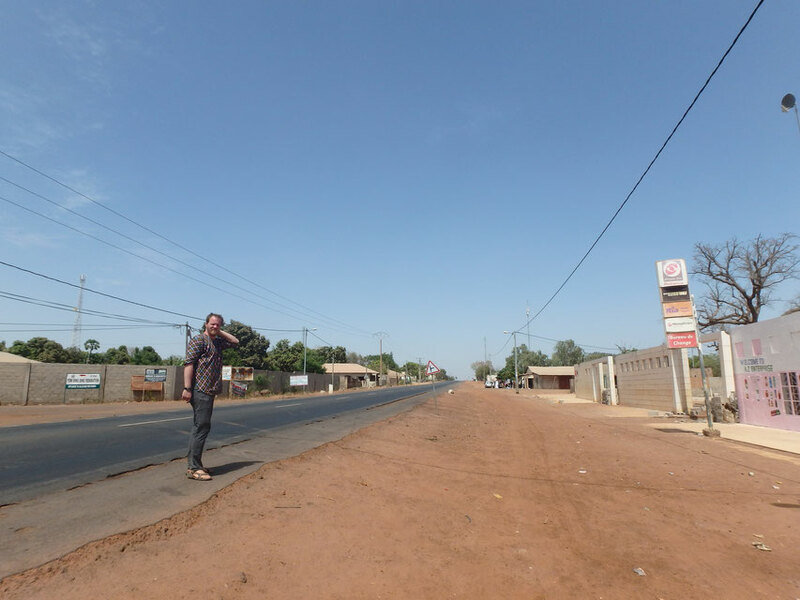 Bwiam - "a big town"
We lingered in Sanyang, nervous of our next step, hiding amongst other tourists we didn't even like to avoid the unknown quantity that was public transport. There is limited information about this sort of travel within The Gambia; no such thing as bus times, numbered stands or labelled destinations. What hints I could find were so vague that I could have assumed them. Unable to delay any further*, we set out early one morning to walk the few dusty kilometres into Sanyang town. Staying there for nearly a week in the end, I have struggled to put my experience of Tumani Tenda into a digestible format. As is so often the case, the atmosphere was made by the wonderful staff, so I am trying to do them justice. For learning about life in a Gambian village, about sustainable farming or for bird watching, it's hard to imagine a more ideal set up. The prices are listed upon arrival, so there is no need to haggle and activities are very affordable coming from Europe. Most importantly, any profit made is channelled straight back into the community. 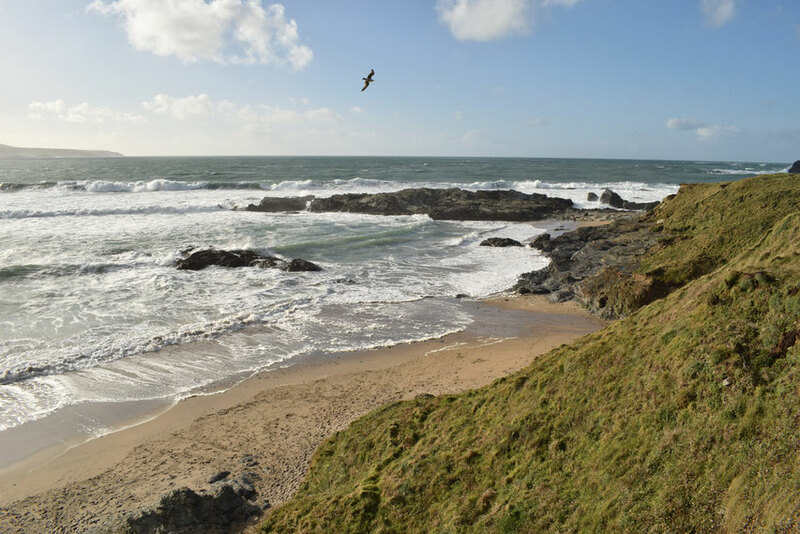 Waves and Caves in Winter - Gwithian to Perranporth on Cornwall's Coast Path. Always fond of Cornwall, but never quite sure where to start, I found myself in Portreath with the sole purpose of buying Dan a new bodyboard. 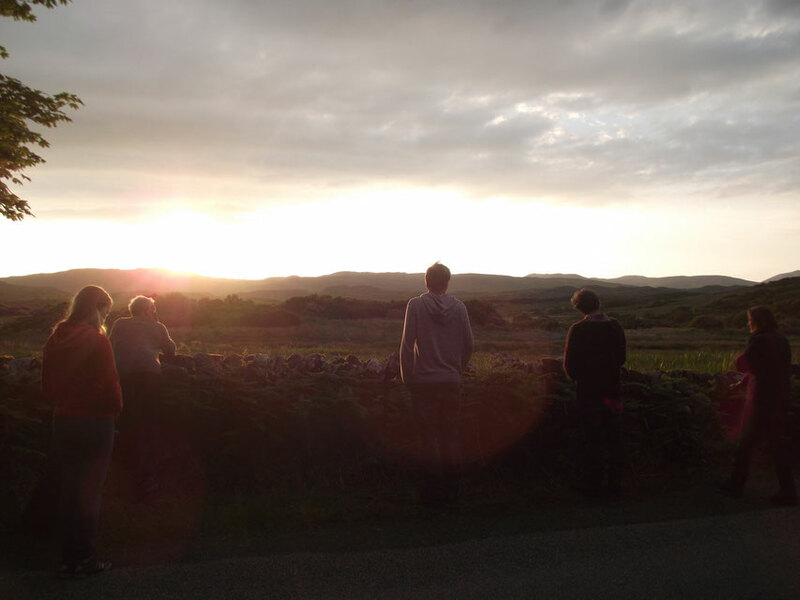 That was the beginning of a series of trips we made in the van. * Dan could play in the surf while I hiked the coast path. Gwithian to Perranporth was hardly a grand epic; I began wherever the surf was good, left Dan in the water and walked for a couple of hours to a designated point where he (and Burt) could pick me up again. Along the way were some of the most incredible places I've ever found in England. I'm writing this in the present tense because I can't sleep. Burt [the van] is broken, but we still don't know if this is the end of the road. Hopefully the mechanic will tell us in the morning and the wait, at least, will be over. On life's scale of problems, this is small fry, but I'm not good at waiting. This is now our forth night here in Gavião. I spent the first day moping in the room of our guesthouse; it was raining, but I still should have ventured outside. By yesterday I was already stir crazy; irritable and bored. The sun came out, so I walked out of the village, down the main road, round an empty roundabout and out of sight. The roadside trees, plots of tall cabbage and distant barking dogs did me good. This place didn't even know I was there. I floated loosely through reality like Schrödinger's cat, wondering if I might have disappeared. Malhão - the big fishy beach clean. Treasure amongst the trash - a glass fishing float. After three weeks of storms and surf, I cruelly dragged Dan away from Sagres. We were going to head north. Finally free from the English winter, semi-permeated with grey but not entirely swallowed, I [we] fled south. Snow storms descended on northern Europe, clutching after Burt's* exhaust as he valiantly chugged through France; down past the ancient wood-striped houses south of Le Havre, missing a baby boar on the road and all the way to Basque country without even a drop of rain. 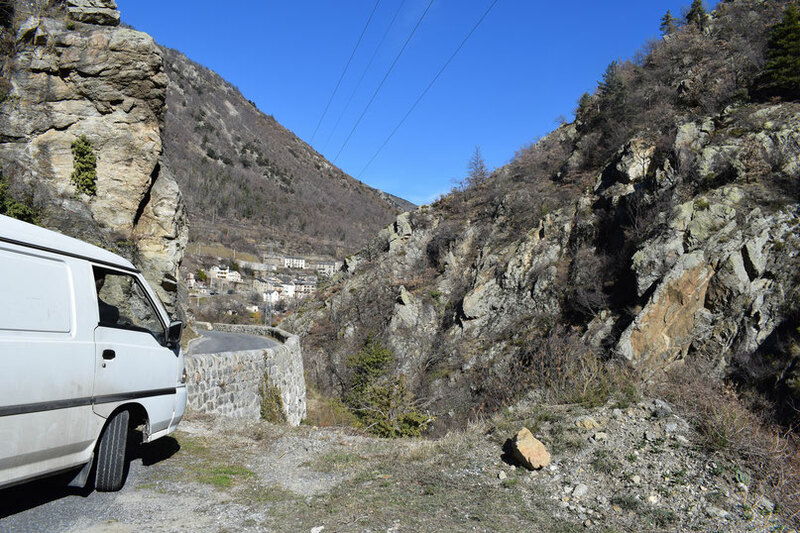 In the small village Garmarthe, perched low on Pyrenean slopes, we bought cheese from the loft of a sheep barn; bread from bakeries and vegetables from green-grocers, we were determined not to just be a drain on the places we visited this time. *Burt is the name of our van. 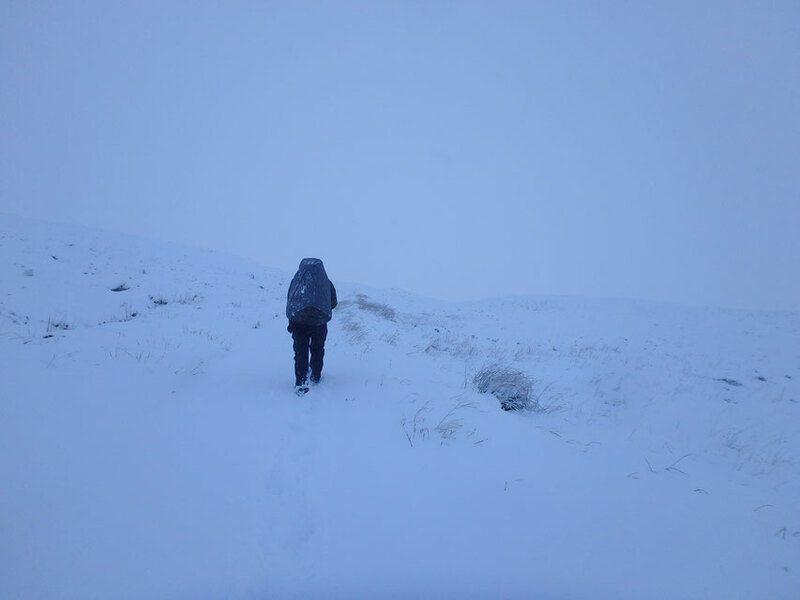 Why you probably shouldn't hike the West Highland Way in December (but I'm glad we tried anyway). Ewelina Wajgert - Illustrating Trash Hero. - from the Trash Hero book. Wind and snow up Harter Fell, the Lake District. 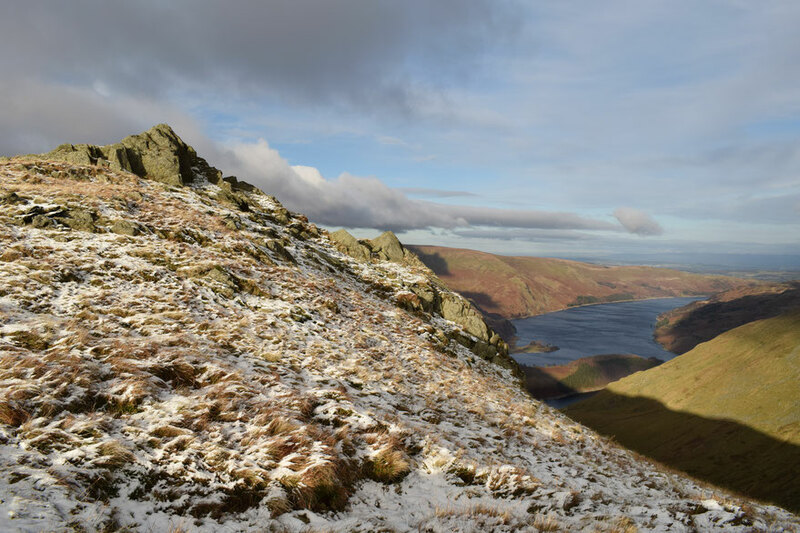 Despite visiting the Lake District three times on our winding ways up and down from Scotland in the van, I had never walked further into the wild than the banks of Haweswater Reservoir. Completing the circle - þórsmörk. It had been five months since we first arrived in þórsmörk. There was nobody there then either; it was a privilege. 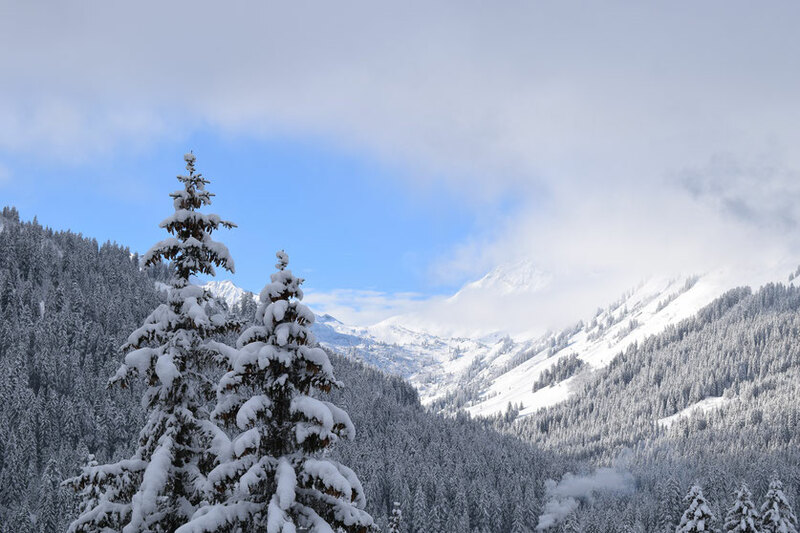 There were swathes of snow in May, some filling gullies and plenty on the mountain tops. We had it on our tents at one point. 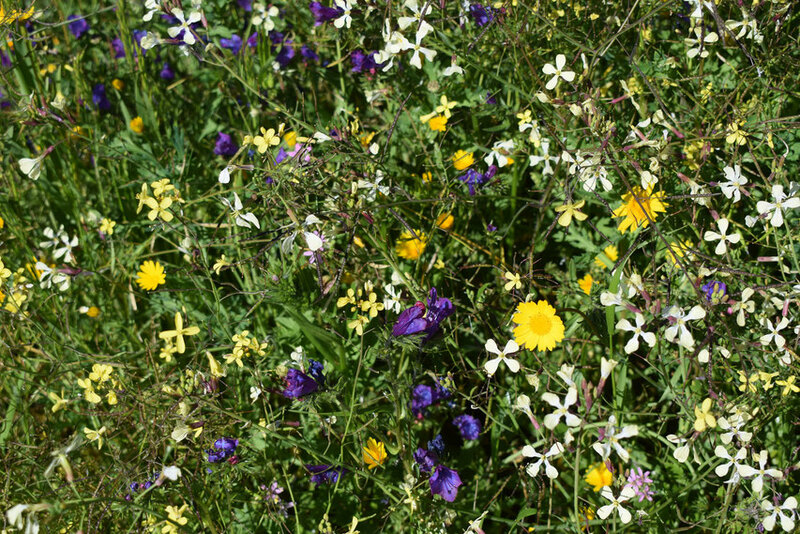 The spring flowers, a scattering of yellow and purple, have come and long since fallen to the ground. The birch was golden when we came back, and lime green in parts; yellow leaves decorating the paths. 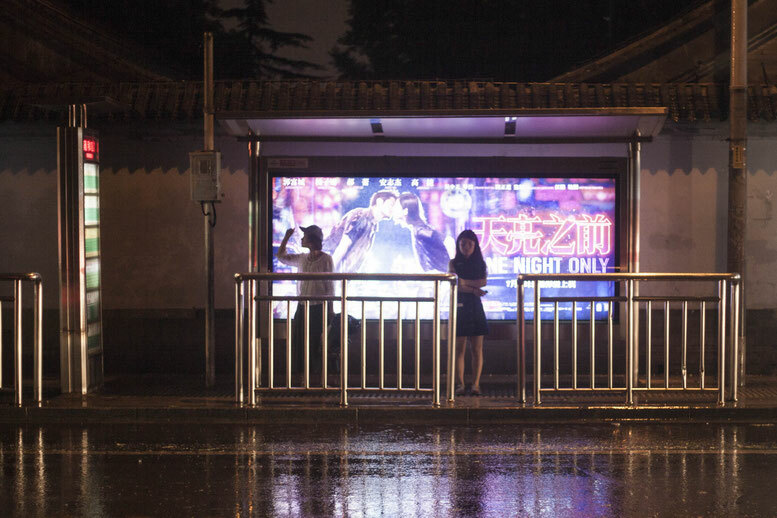 Photographer Jason Wallien - living and working in Beijing. Jason has been living in China for almost as long as I've known him. I don't think he intended to be there for so long, but something about Beijing has obviously reeled him in. I first asked him if he would do an interview for me, about his life there and photography, on the 3rd of January 2015; between the two of us, we have managed to string it out until now... I think it was worth the wait. I particularly love his photos of lights and rain in the darkness and for me, his answers are a rare insight into a idea I once considered for myself. We cannot be everywhere and do everything in the same lifetime, so it's good when our friends can be some places for us. I hope you enjoy the read. We have been working in the huts and campsites along the Laugavegur since July. More and more so, I am drowning in uncertainty as I try to cobble this together. It's taken me weeks just to whittle down the photos. The most colourful are attractive, but I don't want to give you the impression that it's always sunny here; sometimes we don't see blue sky for a week. This three word title... the alliteration I like, but regardless of the shortening days it was not intended as a pun on the American term for autumn. Despite our mother tongue becoming the most wide-spread "global language", the English are still paranoid about loosing it. Living and working here in Iceland, the irony is tangible. This is about Fjallabak; I can barely even pronounce it. 100 days of sunlight - Þórsmörk, Goðaland and Fjallabak. This is dedicated to all the people who helped form this unbelievable summer. Thank-you for sharing this small/enormous part of Iceland with me; I couldn't have imagined it would be this magical. Serra do Geres (northmost Portugal), Galicia and all the way to Calais. It's been several months since we lived in our van "Burt" and I still haven't finished the story. Though I can easily pick holes in places I was not that keen on or point out the most beautiful part of an otherwise average location, it rips at my heart strings to fail in describing a place I really loved. There is plenty of "average" in this final account, but my memories of Galicia are too special to be faithful to. My notes say "near Afonsim? between Vila Pouca de Aguiar & Ribeira da Pena". 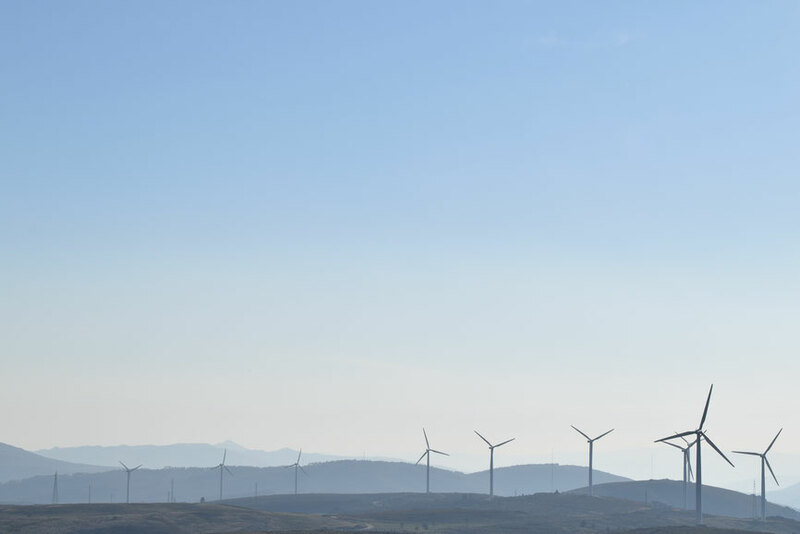 Walking towards the brow of the hill, I contemplated that although I like wind turbines, they seemed alien here. 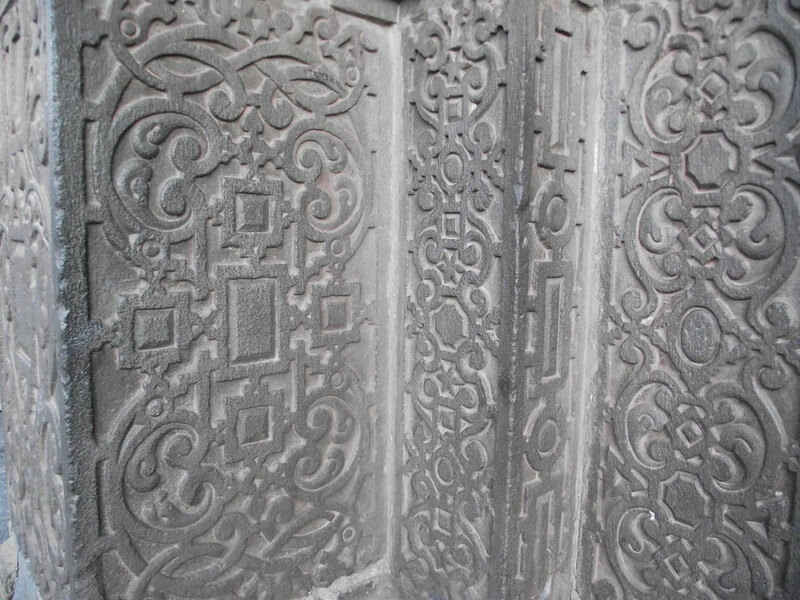 The last village we'd driven through had been half derelict, some newer buildings, but mostly old stone constructions, huge square bricks that reminded me of the Incas, but weren't quite as easily tessellated. People had stared at us as they often seem to, but it wasn't Burt, there were lots of old Hyundii H100s around Portugal. Sometimes they had open mouths or frowns, and we were starting to feel a bit self-conscious. 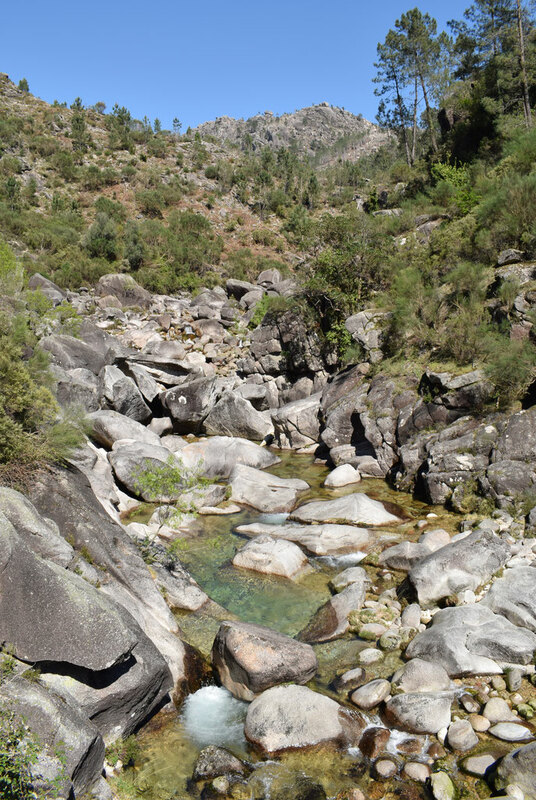 I'll quickly hop you through some of our more attractive one night stops before we get to one of Portugal's crowning jewels - the Serra de Estrela, some great archaeology and a magical spot by a frog filled river. After Nazaré, we spent a final night with the waves beside the lighthouse at Praia Velha, São Pedro de Moel, before heading further north. 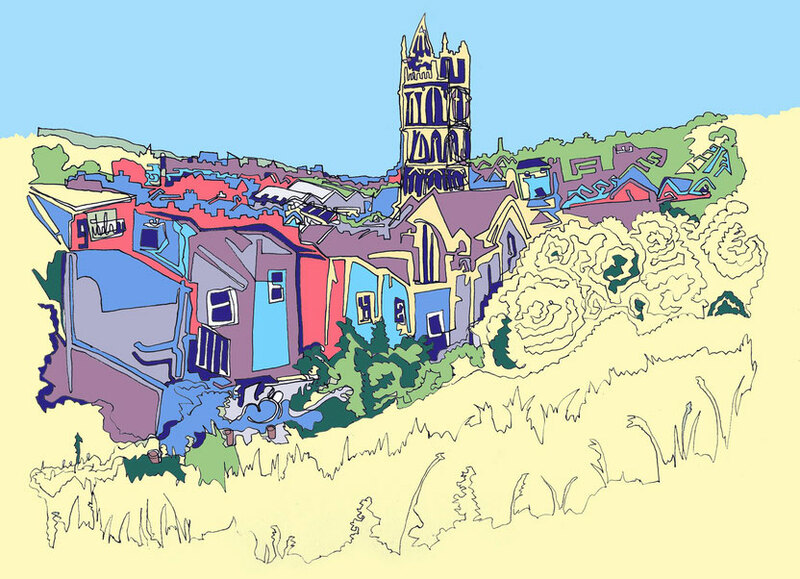 Artist Hannah Simpson - finding the inspiration in daily life. When I first met Hannah, I was already a bit of a mess. For months, we lived in a muddy industrial estate, slipping past each-other like grinning ships in the night. to provide aid and a little more dignity to the inhabitants of the now-demolished "Jungle" refugee camp. Whereas I was mostly a deranged clothing and bedding woman, Hannah worked in "Calais Kitchens". This home-grown set up provided tinned food, ingredients and a degree of independence to the whole camp. They were inspirational as an organisation and Hannah's smiling, approachable demeanour appeared to surround her as a bubble of calm (whatever she might have been feeling like inside). 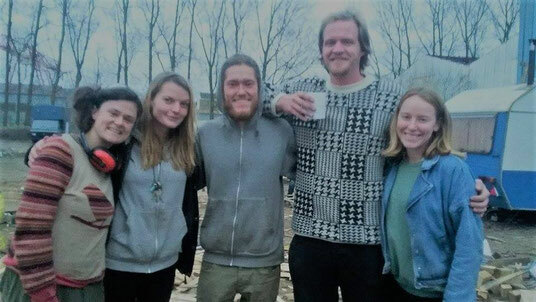 Though I could probably dedicate this blog to the creativity of Calais volunteers for the rest of the decade, I've been particularly struck by Hannah's style. She will not appreciate the comparison to Picasso and I have never made such a leap before without implying that someone was meaning to imitate his work; she isn't. The level of energy she exudes in her drawings make it obvious that this is purely her. I'm a little in awe. After the best part of a week, the rain descended on Sagres and we fled up the coast. 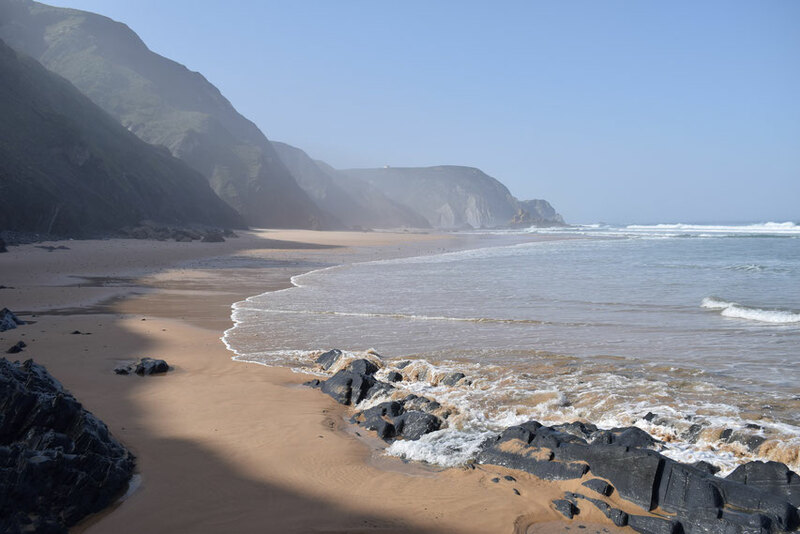 There are many more dramatic cliffs and windswept beaches past Bordeira and further north, but we didn't venture out for more than five minutes at a time, my hair blown horizontal, until the sun came out two days later. In the interim, we slept on the cliffs beside Monte Clérigo; I hadn't felt so buffeted since being in a storm under canvas and cooking was more or less impossible. 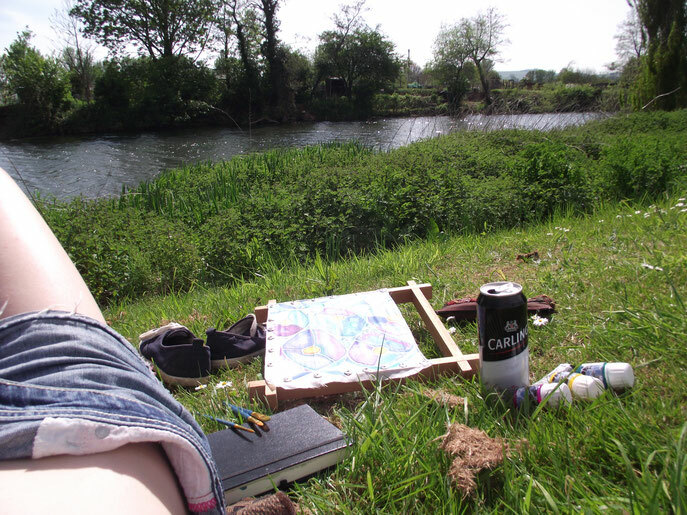 Artist Helen Lucy Wyatt on painty massages, empathy and living in Bristol. Only ever spending any time together at busy music festivals and other people's parties, it took me almost a year to learn about this part of Helen's life. 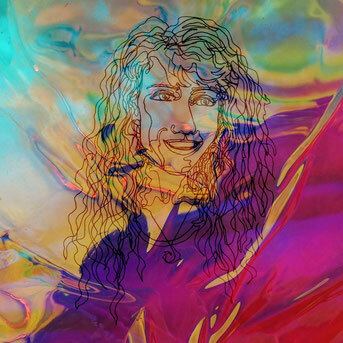 Often secret talents turn out to be infinity more rewarding once discovered than those you've been hearing too much about - Helen's designs and illustrations are addictive. Sometimes using computer manipulation as well as more traditional techniques, I usually have no idea how she has created a finished piece, but that only adds to the intrigue. Six pristine beaches around Sagres, Portugal. The main intention of this haphazard adventure was always to delve into Portugal, though I would have been surprised to find out that we'd enter from the South. Passing the most built up stretch of the Algarve in the rain, we bee-lined towards Sagres on the promise of surf. 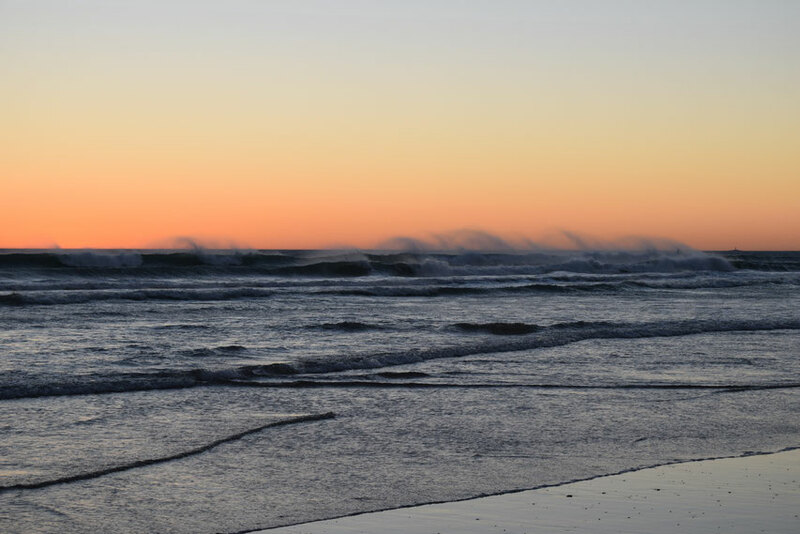 March is a good time for waves, but attracts far less ordinary holiday makers. Though relatively quiet and very easy to park up our van at this time of year, I think you would have to be more careful in the Summer. Countless vultures, a few waves and a very long tunnel (South/West Spain). 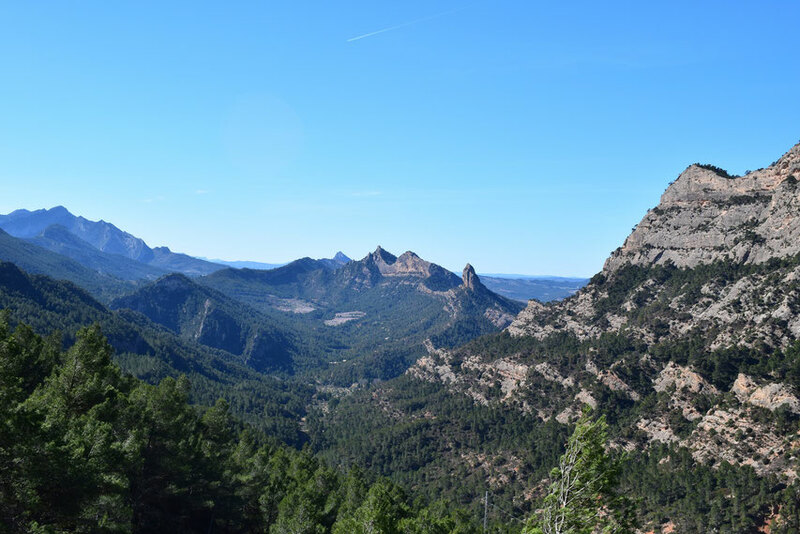 South from Ubrique, towards Alcalá de los Gazules, we drove an hour or so along small roads, though idyllic forested mountains, only persisting because every turn off was marked clearly as private land. For once our severely unspecific road map was correct in assuring us that there were no real settlements here, but under a mountain we found another "area recreativa". 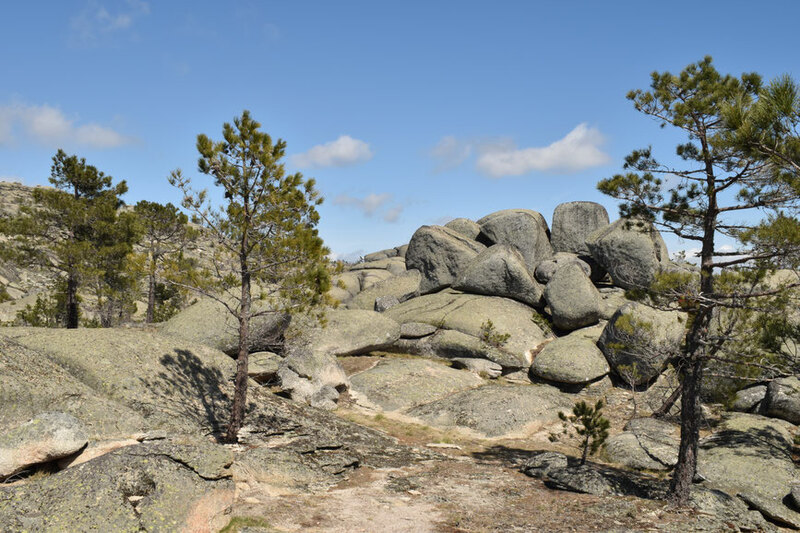 Somewhat of a labyrinth, "El Picacho" had barbecues cut into large boulders, picnic tables fashioned from giant hunks of wood and the generally overgrown delightful air of not having been visited much since last summer. 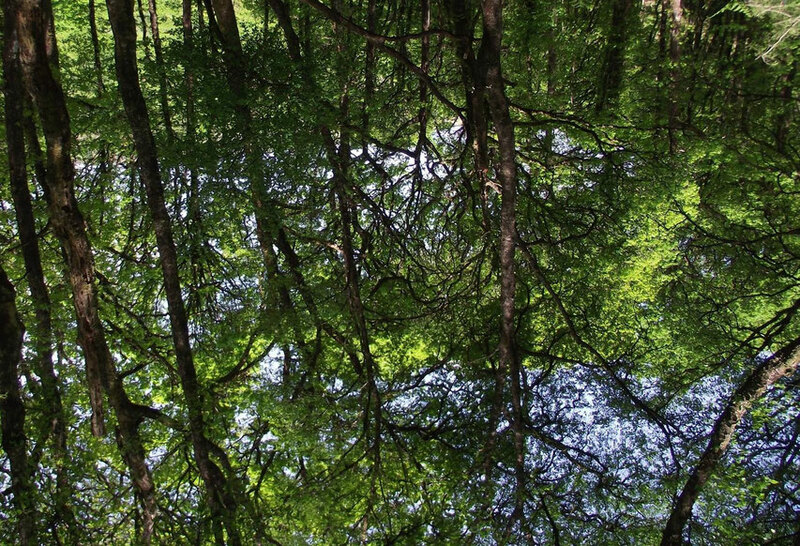 The tree branches crooked above us like ancient witches fingers and we hid under the bridge, as the odd car passed above, like grubby trolls bathing in the river. By now we thought we were getting a little better at travelling in the van. We were driving in little hops, poking into the countryside or along the coast for an hour or two each day, never waiting until after sunset to find somewhere to sleep. Water was easy enough to find from taps in children's play parks, fontes or town centres, fuel was cheaper in Spain and we knew just about Spanish to make our lives a little easier. Slowly but surely our body clocks began to adapt from a slovenly 11am until after midnight norm, to one which made better use of the light. 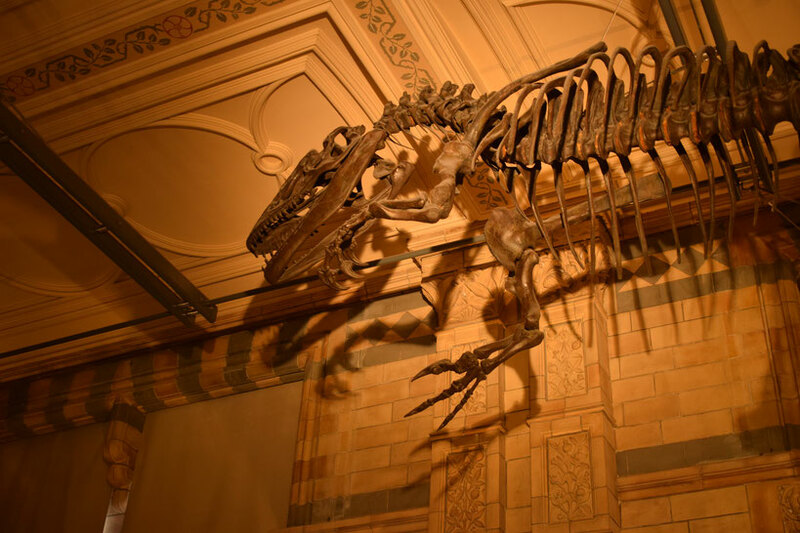 With little to do in the evenings, we were sleeping before the majority of eight-year-olds and I often woke up just before dawn started to scratch through the curtains. We appeared to have escaped the winter. 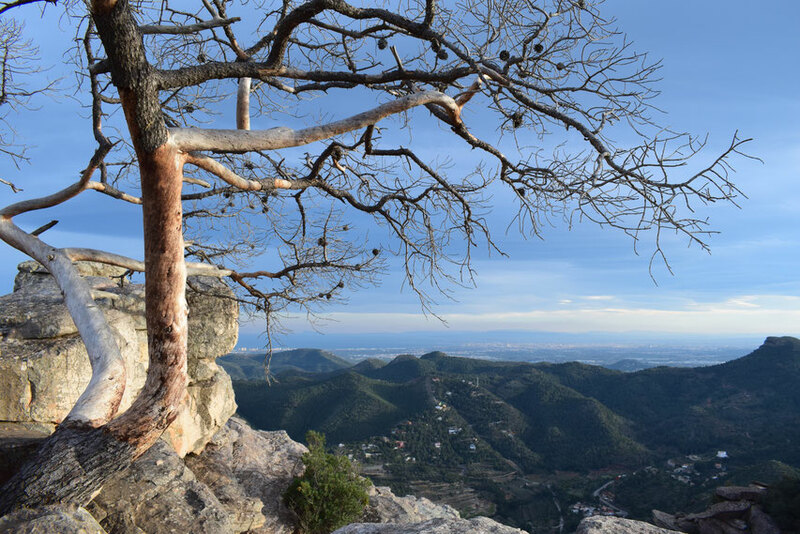 The river Ebro & its tributaries, the Spanish Civil War and alternative uses for shoelaces. Had it not been for the gloom, I would have liked to stay beside Pantà de Rialb longer in the eerie silence, but we chased the promise of sunshine South. Skirting around Lleida, we followed a succession of steadily diminishing roads, looking for a blank spot on the map, as if paddling upstream to the source. Pantà de Rialb and the lost villages. The sky was stubbornly overcast as we approached the lake. 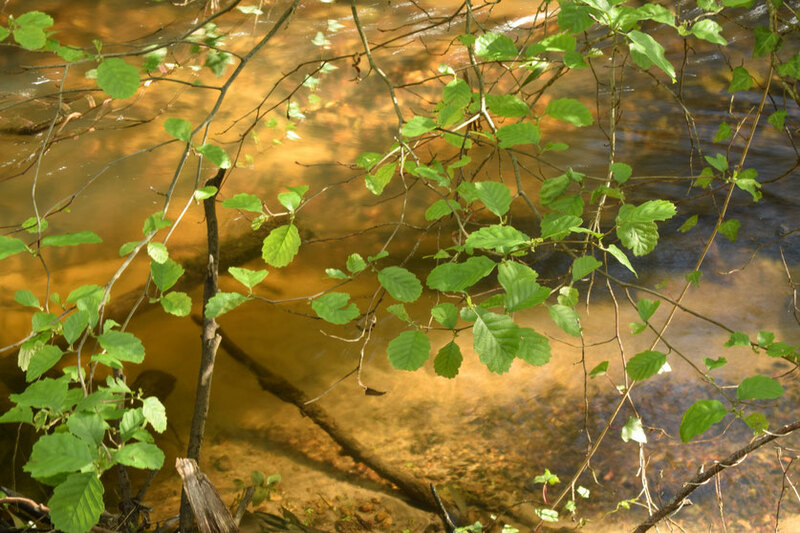 Though with all the elements of beauty; reflections of leafy trees onto the green water's surface, rocky outcrops and a silencing distance from the highway, we couldn't shake the feeling that it was a little bit too quiet down this rough track. On the map, these roads lead to nowhere. 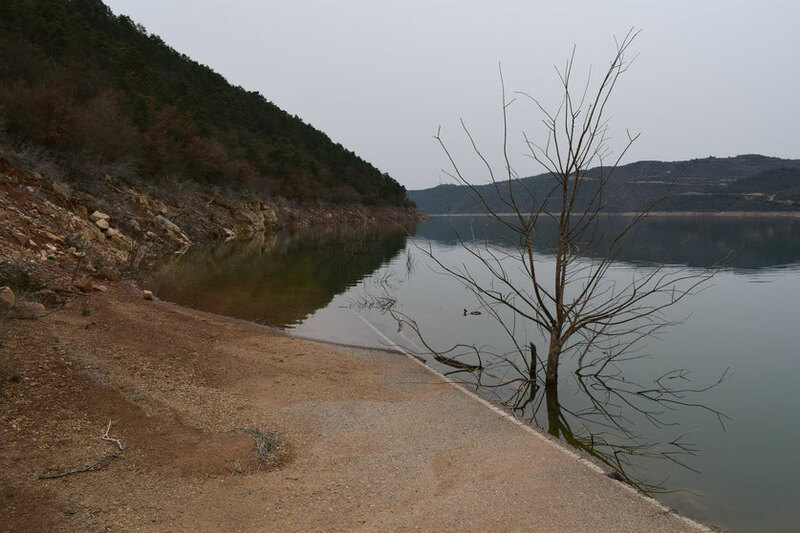 I possibly expected a picnic site or somebodies house at the point where on paper it descended to the bank in two directions, but instead we got to a sign, "PELIGRO INUNDACIONES", and it simply became impassable in the van; great hollows and troughs down a steep slope. On foot the road disintegrates into mud clots, completely disappearing and being replaced by shrubby bushes and rocks. What at first appeared to be a chimney poking out of a small clump of trees, turned out on closer inspection to be an empty shrine, simply a window to and from nowhere without the Mary doll to stand in it. 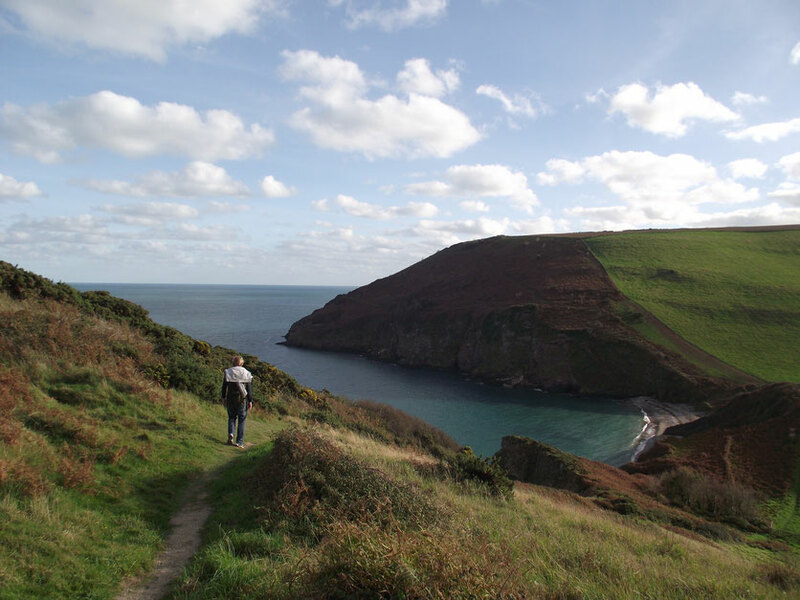 We followed a faint and precarious pathway, still twenty-five meters above the water level, around a small headland and confusingly emerged onto the remains of a two direction tarmac road; only slightly faded white lines in the centre, but edges crumbling into emptiness. Over a sinking bridge, once proud enough for an archway, metal barriers meant to protect impossible traffic, bent towards the water like discarded staples. Sloped into a disturbing width ways diagonal, as well as the simple down-hill gradient, the road plunged into the water and obscurity. 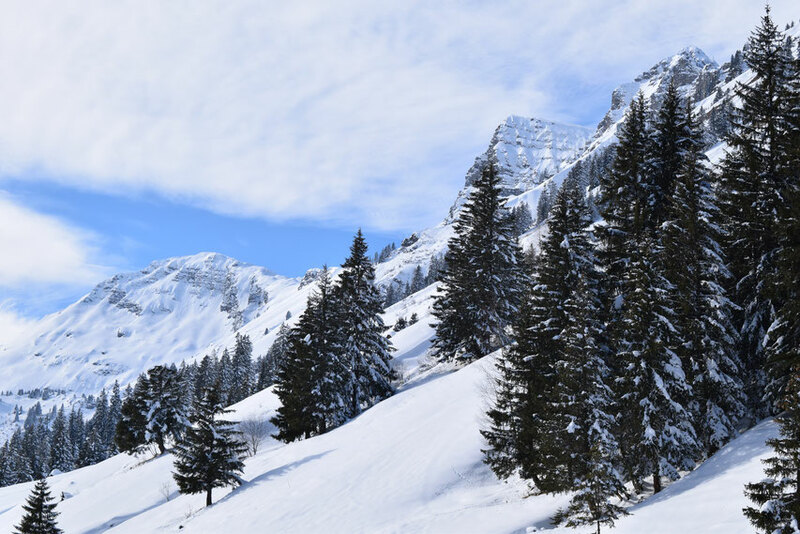 France: a journey of three seasons and several lakes. Take two, step one - grazing through six countries. If you've been dropping by for some time, you probably remember a little hype around last June. We'd saved and stagnated for over a year in Exeter. 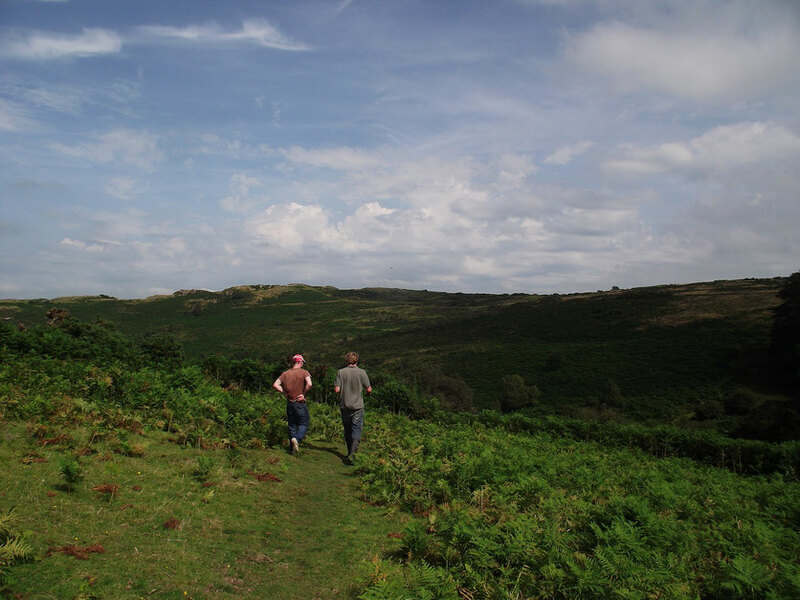 Unexpectedly, I'd found many things to love in that sleepy South-Western city; a small but solid medley of people, plenty of camping on Dartmoor and Devon's coast. Still, I was restless, we were gearing up for a great adventure. 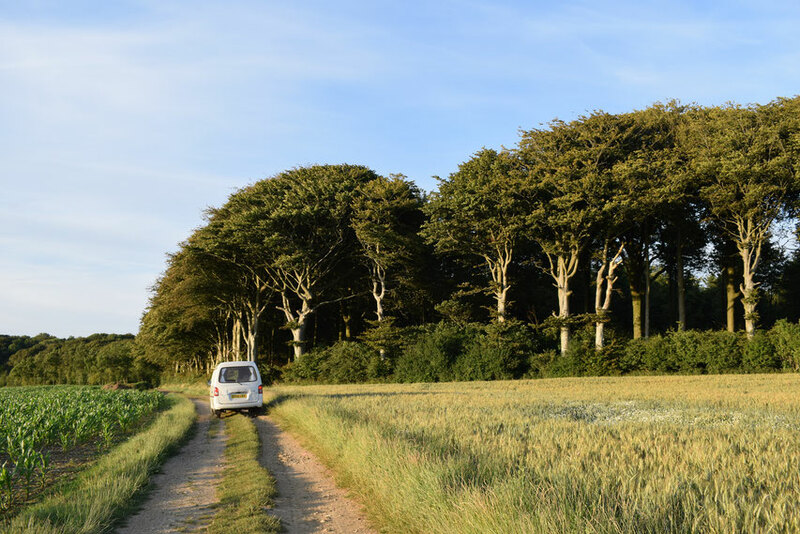 Burt the carpet van spluttered into our lives as a kind of tiny home on wheels, a fortified tent with space for a duvet, and we finally set of on our epic European road trip. 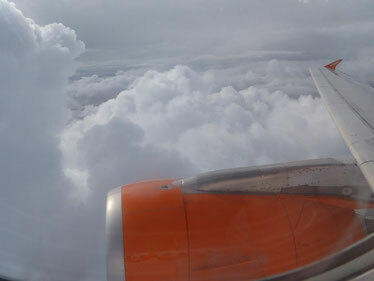 Though the weather was better, things started that month the same as we just have, with a trip up to Scotland. As you might also know, that first drive up North and down was our last great road trip of 2016. We finished the year in Calais, laughing and crying and forgetting to shower. We're starting that original plan from scratch. Why and how we should be trying to preserve our Oceans. 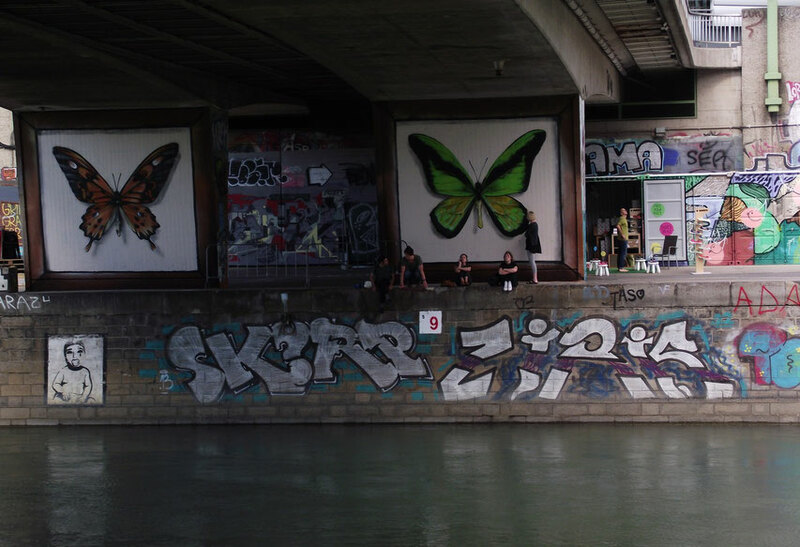 Having spent quite some time ranting about the refugee crisis, I wanted to write about something else close to my heart, incredibly important, but not yet personal enough to make me shake with rage. 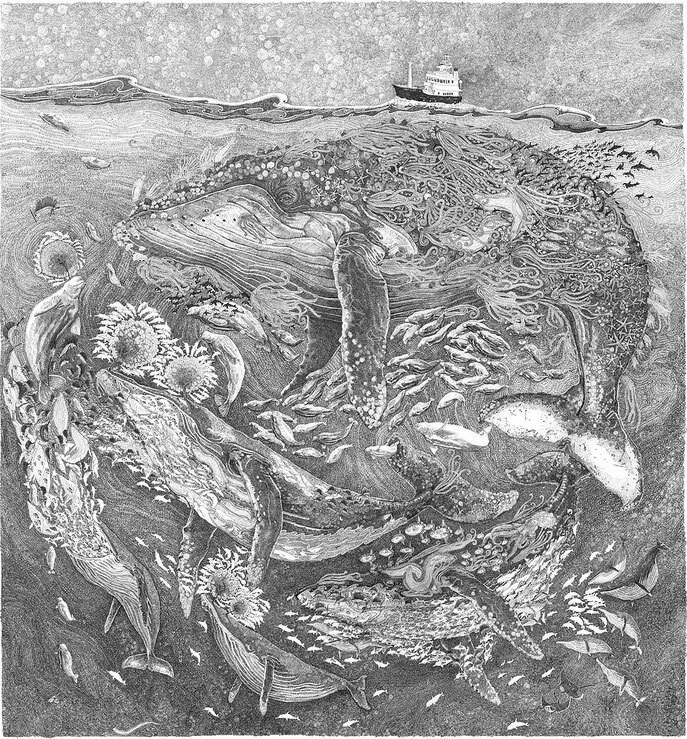 Covering almost three-quarters of the Earth, holding 97% of our water, producing almost half of our oxygen and absorbing carbon from the atmosphere, I can't exactly overstate how important oceans are to our planet's survival. Despite being vital to our economies and way of life, gone are the days when it was possible to believe the deep blue sea was simultaneously an infinite wealth of resources and an invulnerable dumping ground. For the irritable lefties amongst us, those not fans of bombs or anyone who'd rather not think about thousands of people drowning off the coasts of their favourite holiday destinations in pursuit of a better life, 2016 hasn't exactly been the new page of peace and opportunity we'd been hoping for. Maybe every year is the same if you mull upon it in the right way for long enough, but somehow this one doesn't feel like anything I can round up in a listicle. Trying to be a human after Calais. In the end we spent five months in Calais; stretching over nearly half of 2016, it went by in somewhere between a flash and a lifetime. Days were over before they'd begun, but the weeks dragged out endlessly. Now that we're out, it feels like waking from a bizarre hallucination. The broken distribution team at the end of the very last day. We lived and breathed it until there was little left of our previous selves, but then they were taken away. We have no idea what has happened to the vast majority of the people we saw every day. new brake disks to our long immobile van. 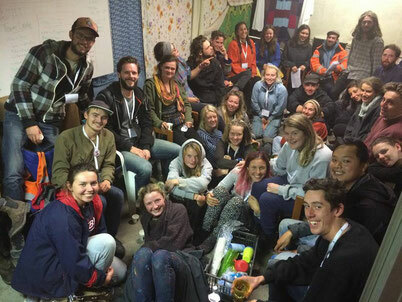 After the children were finally gone, I languished around the yard for the best part of a week, occasionally attempting a little clothes sorting or answering the questions of new volunteers with dead eyes and monotone half sentences. The fate of the "Jungle" Bambinos. I'd gone from taking clothing and shoes to almost exclusively adult men and older teenagers, to spending all of my time trying to care for children. Frankly I had no idea what I was doing and neither did 90% of us. We tried to occupy them with football and games in a field next door, but spent most of the day and evening listening to their problems and trying to make sure they have working phones before they disappeared. They were growing boys and hungry however much we try to feed them, there was no running water inside the containers and many told me that they washed their faces in the water from the toilets. Helplessly I worried for their teeth. Disconnected stabs of consciousness from Calais. 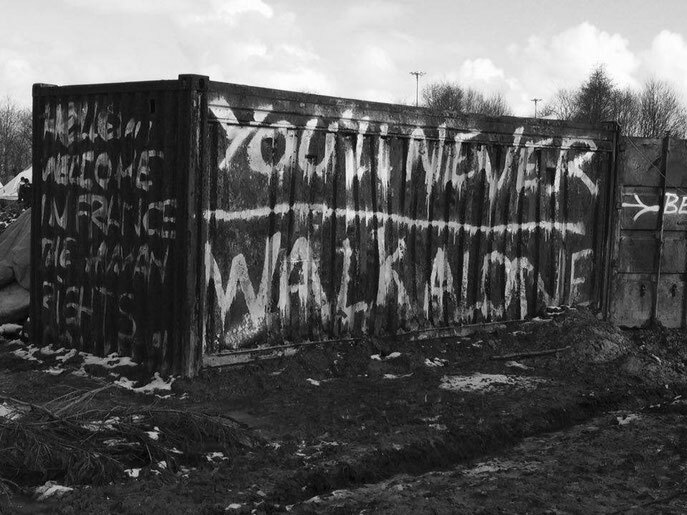 I've written very little about Calais over the last three months I've been here. There is so much to say and yet none of it forms in my head into a coherent narrative, message or anything even close to a solution. The jungle is finished, but I still feel like I have so much to learn. I never took any photos, I never said my goodbyes, all lost threads from a tapestry of unsolved problems. The impossible task we've been attempting is drawing to a close and I feel both absolved of responsibility and drowned in sorrow about the people we've had to leave behind. I'm not allowed in anymore and am suddenly redundant. Strings of half made thoughts race around my brain; jobs I never got around to, referrals lost in the depths of my phone. Time melts on as if it has no meaning. The rumours are rife- "Jungle finish?" we're asked each day. Nobody wants it to be here but they (and we) are constantly anxious about what that means. Nobody wants another eviction, we can't loose any more children in the process, but there's no way we can sustain over 10,000 people over the Winter without being allowed to build more solid homes. We live day by day, maintaining their existence, providing clothes, food and some sort of shelter, but it's not getting better. In over two months, I've taken a few days to myself, but there are others who've been at it since Christmas. A recent flood. Photo from my friends who work on the Refugee Info Bus- facebook like below. "Converting" the carpet van for under £200. It took us months. We were looking for something that didn’t have a massive amount of miles (many under £2000 had around 200,000 on the clock), with no major mechanical problems and that wasn’t too big. More importantly, it still had to be long enough for Dan (who’s 6’4) to lie down in. Having never owned a car before, we took vital and occasionally contradictory advise from the internet and other more experienced family and friends. Dan’s dad (Rod) came along to view and test dive any potential options and we listened to the advice of a friend's trusted mechanic before we finally took the plunge*. Our budget was £1500 and eventually, after many false starts, we eventually spent £1150 on a Hyundii H100 from 1997, an old carpet fitter's van, and £350 on repairs and a new MOT. 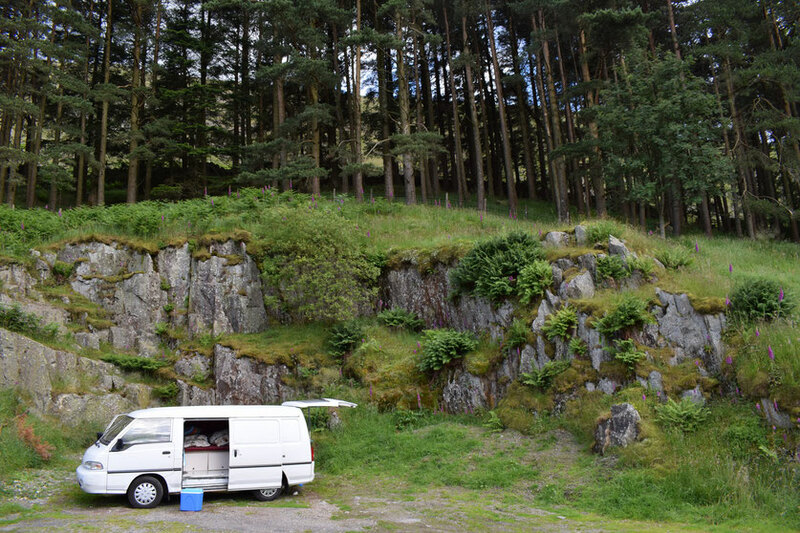 Dan read many blogs and other advice online to give us ideas on how to convert a van cheaply, treat rust and generally maintain cars as we were previously clueless. We kept a look out for sources of free material and hit gold outside a laminate workshop where we found (with permission) lots of off-cuts of kitchen splash board, MDF and wooden pallets. Rod also gave us some plastic political placards (who’s party will remain unnamed…) which were going to be thrown away. We used Gumtree and searched other similar second-hand sites to find a jigsaw, foam mattress, camping chairs. To treat the rust we bought Kurust (phosphoric acid), wire brushes, rust inhibiting paint, fiberglass sheets, resin and a premixed tub of fiberglass mush. We also bought uniform lumber to create frames for our cupboards and bed, several tubes of grip adhesive, some extra screws and insulation fluff made from recycled plastic bottles**. Luckily Dan and his parents had quite a good collection of tools and paint. Before we could begin, we spent a day dismantling and removing the ugly carpeted wooden platform and shelving from the back of the van, removed the mouldy panels from the walls and cleaned the van inside and out. 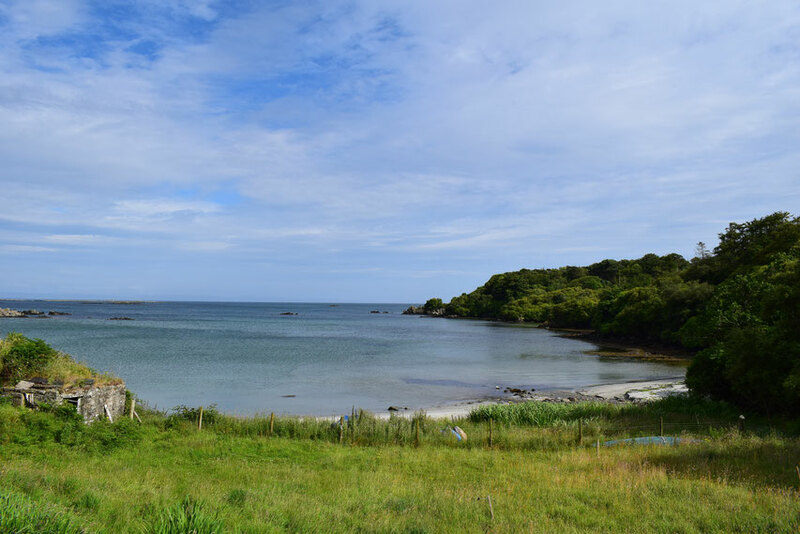 Some time on Islay, Scotland and the carpet van makes it to France. After a very slow and somewhat arduous trip up to Swansea, Wales the week before, we were particularly relieved to make it up to Scotland in relatively good time without any major mishaps. ...and we're off! The beginnings of life in a carpet van. Having got to know each other over long, stressful nights in the library, the least organised History students in our year, it's hardly surprising that Dan and I struggle to get ourselves together before a (hopefully) long trip. Despite slogging and saving for over a year in preparation, we found ourselves committed to leaving our jobs forever in two weeks time, with no van to move into, half a flat full of things and Dan still learning to drive. 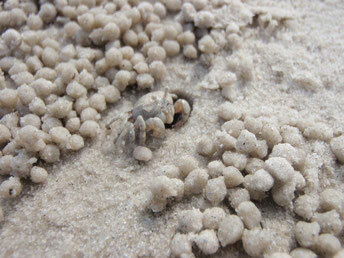 Storms, sea shells and sand boarding in Mui Ne, Vietnam. Trying to loop through the North of Thailand, floating along a portion of the Mekong, through Laos and down the entire length of skinny Vietnam in just a few weeks, had turned into somewhat of an ordeal. Vietnam is a beautiful country, with some of the most impressive sights in South East Asia, but after spending around one hundred hours trying to sleep on hard train benches, sweating on endless busses, occasionally getting shoved and ordered around by unfriendly men and fighting off moto drivers, the continuous traffic noise and incessant beeping was beginning to grate. 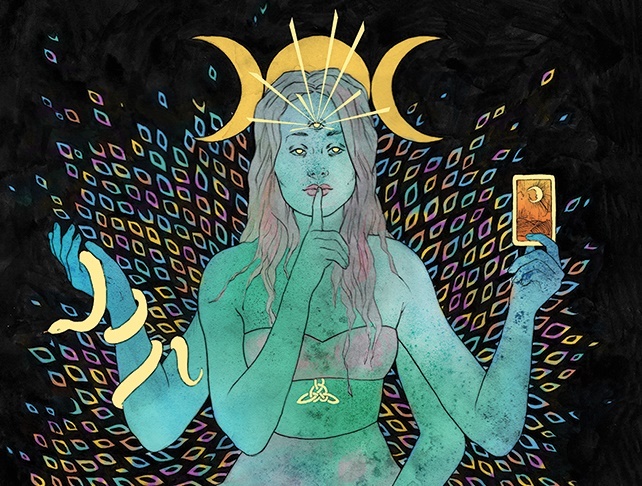 Illustrator Laura Wilson on art, feminism and the odd mermaid. Floating around the restaurant with an enviable aura of calm, Laura never seemed repressed by the sometimes stiflingly misogynistic atmosphere of our work place half a decade ago. After her smile, I first noticed her tattoos- a tall ship, mermaids and an intricately twined circle on her back. Getting to know her a little better, I learnt she designed them herself. I've been in awe ever since and could not be more excited to introduce you. This is Laura Wilson. Were you artistic as a child? How did you get into illustration? I wanted to be an artist from a really early age! 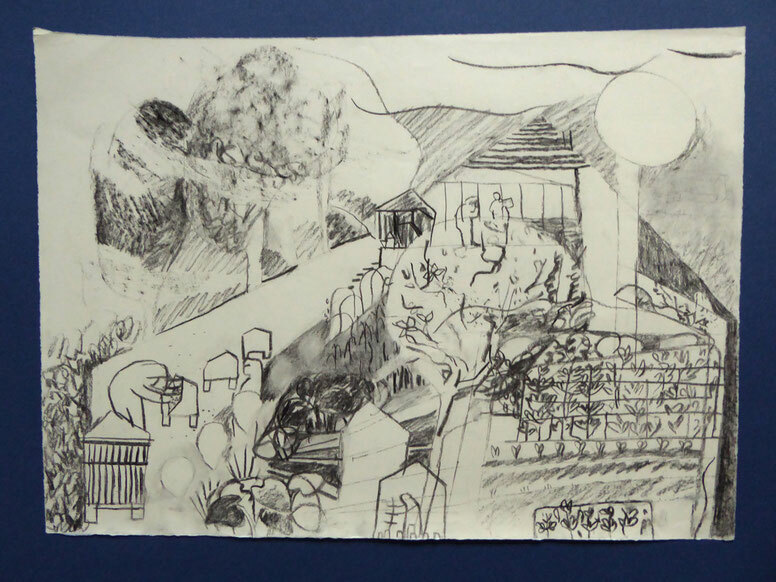 Art was my favourite subject at school from when I was very young, and it was something I’d spend hours each evening doing. I drew an awful lot of mermaids! I had a few years during my teens when I gave into the ‘art isn’t a viable career option’ rhetoric that sensible adults were telling me, but eventually I decided that following my passion was worth not being as financially stable as I might be if I chose a different career path! 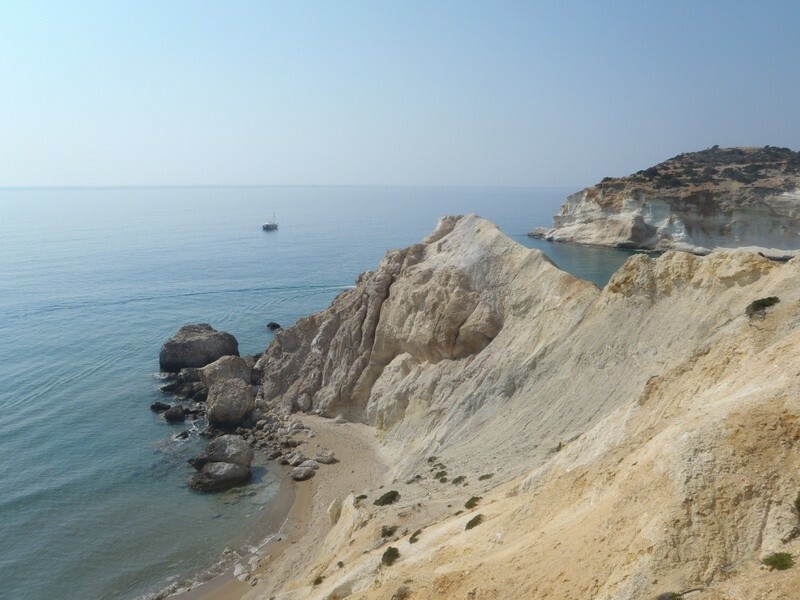 Hitchhiking, camping and other less advisable adventures on the island of Milos, Greece. One cold, soggy winter in Southampton we were dreaming of an adventure. My friend Bryony and I had been struggling to find any inspiration in our grimy university accommodation and imagined spending long days painting on quiet beaches; I bought a map of the Cyclades and we began to highlight dots to aim for. Milos was so beautiful that our island hopping adventure didn't end up as extensive as we imagined, but I haven't regretted it for a second. Five ways in which I'm still stubbornly refusing to join the 21st century. As a child I used to take my Mum’s accusations of stubbornness as a compliment. Without the thought process to understand that my 4, 7, 16 year old self might benefit from a little open-mindedness, I believed it insinuated I had some sort of unbreakable iron will; the sort of perseverance that a suffragette would have needed on hunger-strike or what made Rosa Parks stay on that seat. Not yet appreciating that the vast majority of the human race believe themselves to be right at all times, I imagined that this sort of attitude would eventually result in justice. Having absorbed enough contradictory information over the last decade to understand that there is rarely a reliable answer to anything, I'm more confused by the world than ever, but can't help retaining a trace of that original pigheadedness. A mystery to the most of my friends, these are a few quirks that I am for some reason trying to swim with against the tide of the 21st century (and maybe adulthood?). I've been rotting indoors for months as we "prepare" for an as-of-yet unspecific adventure elsewhere in Europe. I bounce resigned from one box to another, staring between screens and sitting so badly; my back is aching. 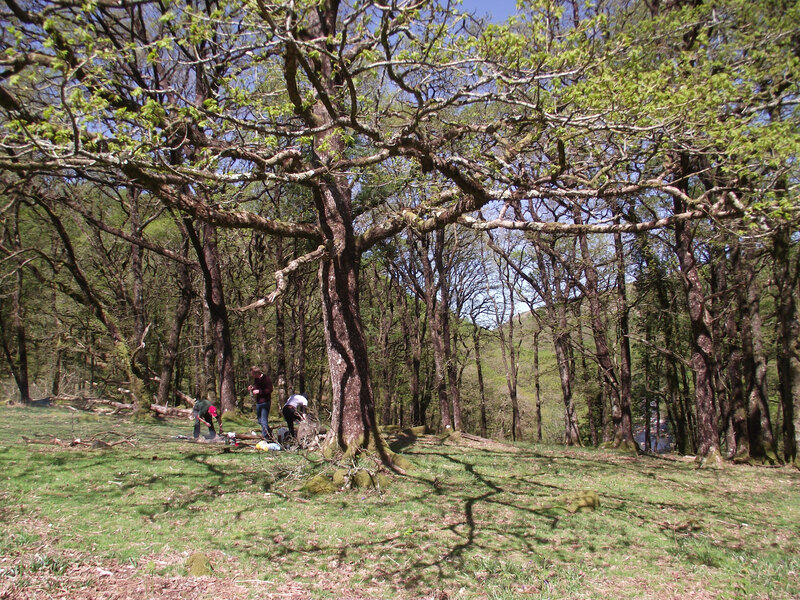 Wild camping for Dan's birthday has become somewhat of a tradition and as the weather is starting the clear up again, we ventured out to Dartmoor to absorb some wilderness as an antidote. 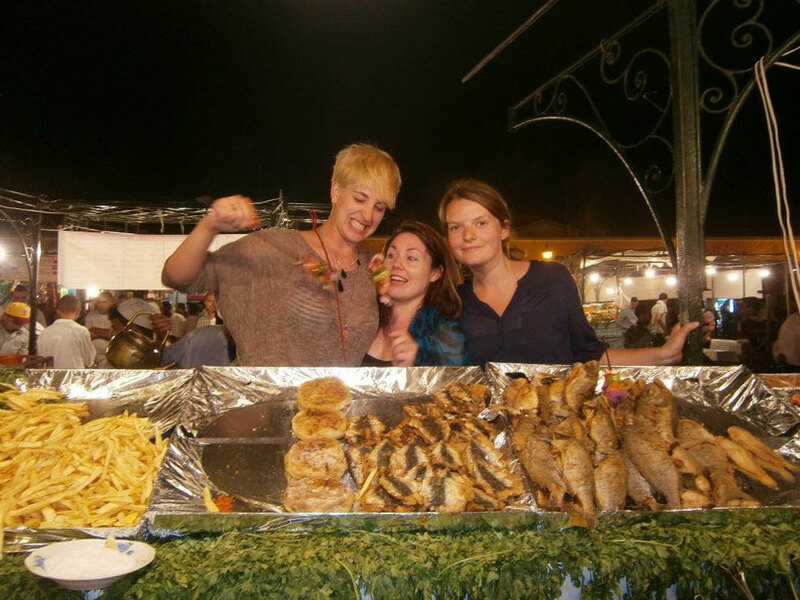 Tips for women planning an adventure in Morocco. Drunkenly booking myself a one-way ticket to Marrakesh, age 20, was undoubtedly one of the most impulsive decisions I've ever made. 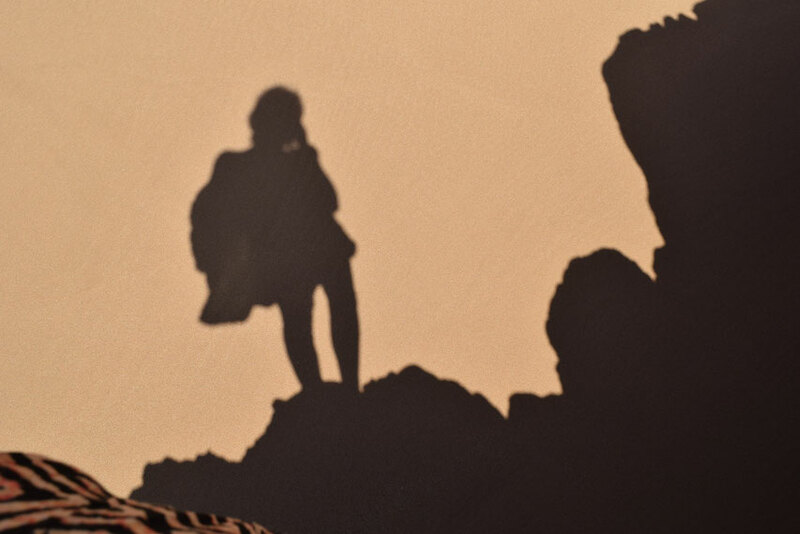 I had some idea of what Morocco might be like, but the more I researched solo-female travel there, the more I began to wonder if I had made a giant mistake. As the weeks before my departure flew by, I got increasingly nervous and tried to arm myself with as much information as possible. 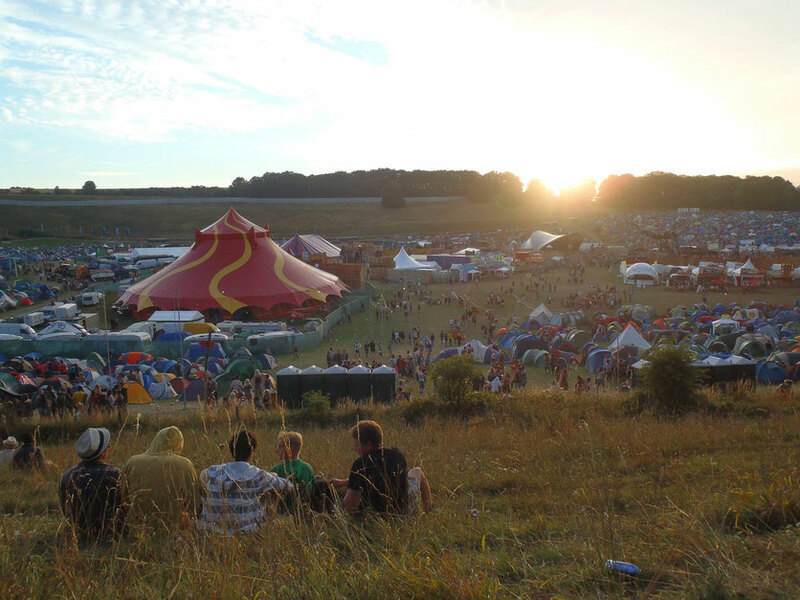 How to survive an English music festival. Architectural details of Vienna, Austria. 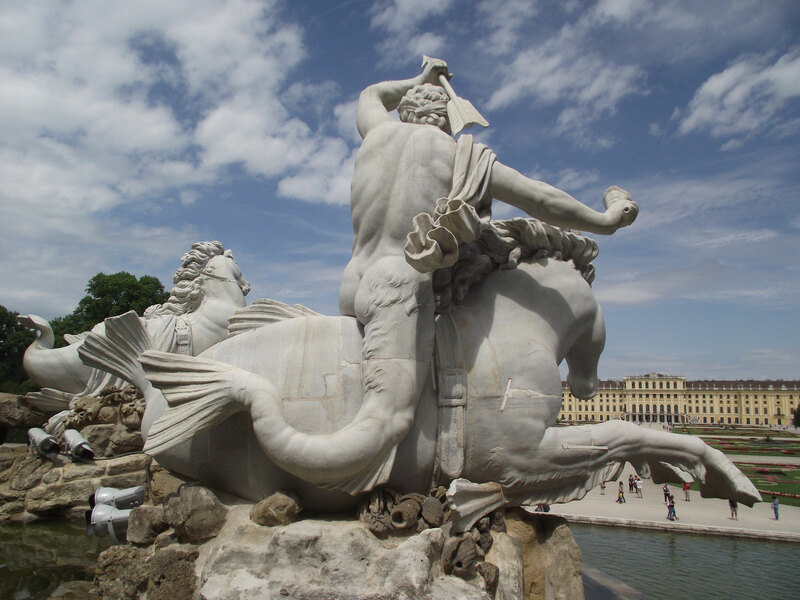 The Neptune Fountain, Schönbrunn Palace. Note the two merlegs needed to straddle this type of seahorse. 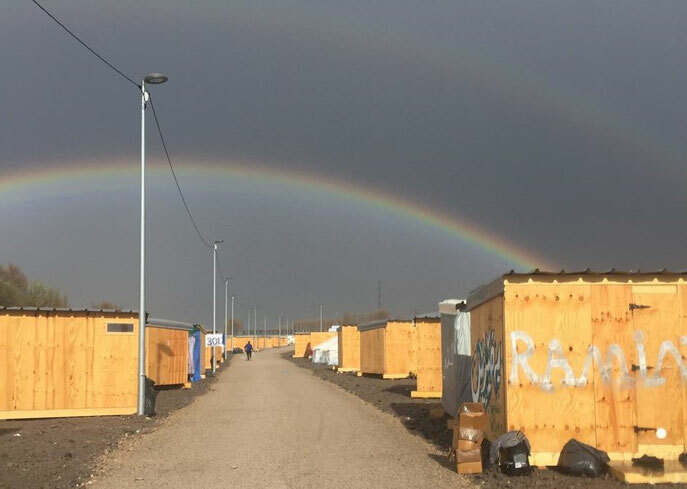 "Building" in the new Dunkirk refugee camp, France. Double rainbow over Dunkirk, France. Photo from my building friend Elizabeth Nixon. After two weeks of stumbling through our daily reality, Dan and I were struggling to find any purpose. Stretching the Easter bank holiday weekend, we found lifts over to Calais and were quickly back in the build team. With its regimented streets of chicken coops, Dunkirk couldn't be any more different to "the jungle". Having never seen the old camp, I can only repeat other volunteers' stories of children trying to play in a wood turned swamp. 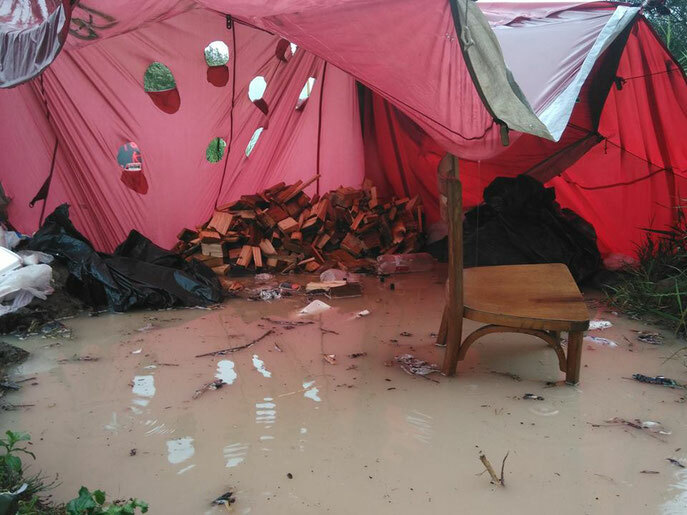 No building materials or tents had been allowed in for months and Winter conditions must have been nearly impossible before the move. 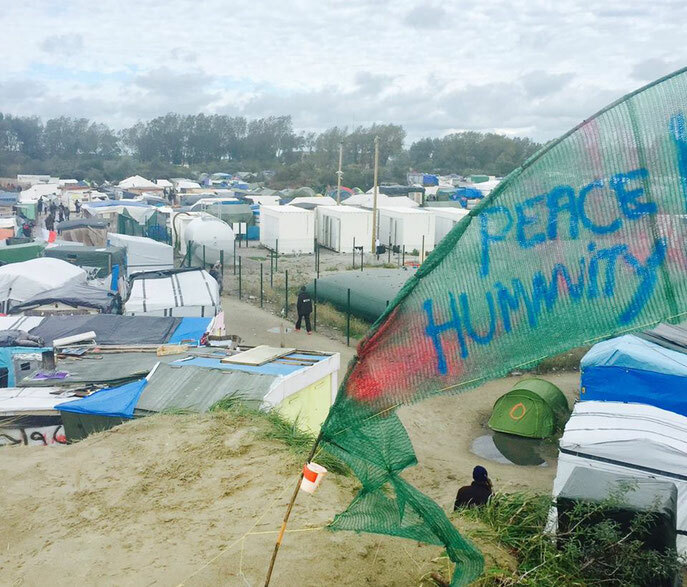 Overshadowed by the jungle, Dunkirk was just one of many forgotten refugee camps in Europe. I'm struggling not to get too political, but the new camp, set up by MSF and volunteers, at least gives a small amount of dignity back to the thousand and a half people it has space to shelter. There are toilet facilities, showers, somewhere to wash clothes and food distributions from the other charities involved. It hasn't solved their long term problems, but hopefully eased a bit of suffering in the mean time. 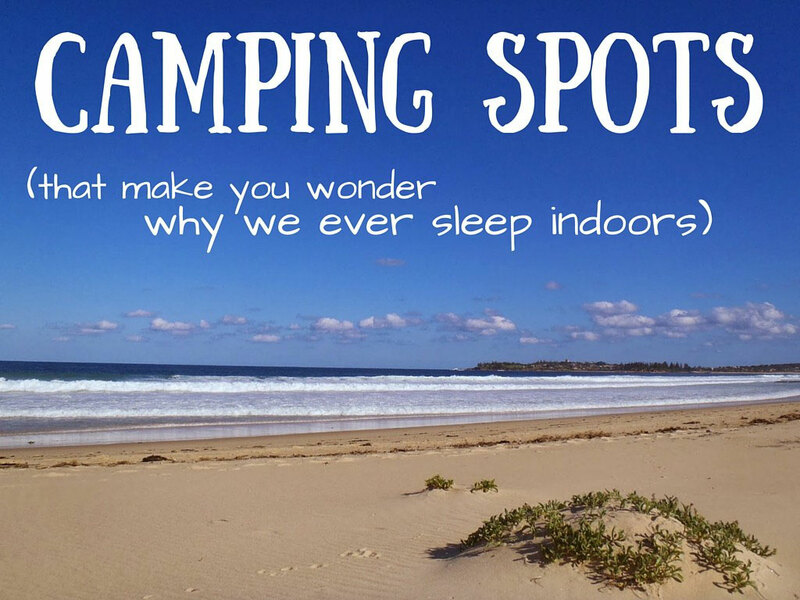 Camping spots that make you wonder why we ever sleep indoors. This collaboration of magical camping spots has taken an embarrassingly long time to put together, but I can't help but feel proud of the result. With some of my traveller idols, friends and even family involved, it's hard to decide if I'm more excited by the contributors or the places they have written about. If this doesn't persuade you that you don't always want to sleep with a roof over your head, then I'm happy to keep the wilderness for myself. 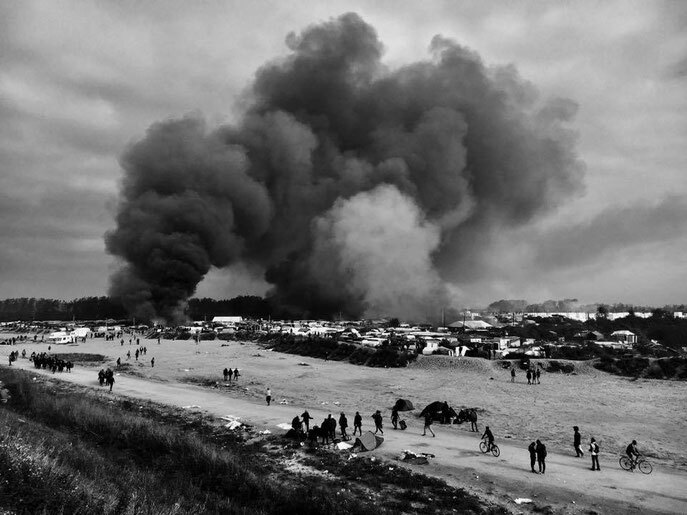 Volunteering for l'Auberge des Migrants in the Calais "Jungle"
I'm struggling to find the tone of this article; shying away from self-congratulatory or callous, and after only a week there acutely aware of my naivety. On leaving, nearly everything in my normal life seems pointless and yet I still bumble along as if before. 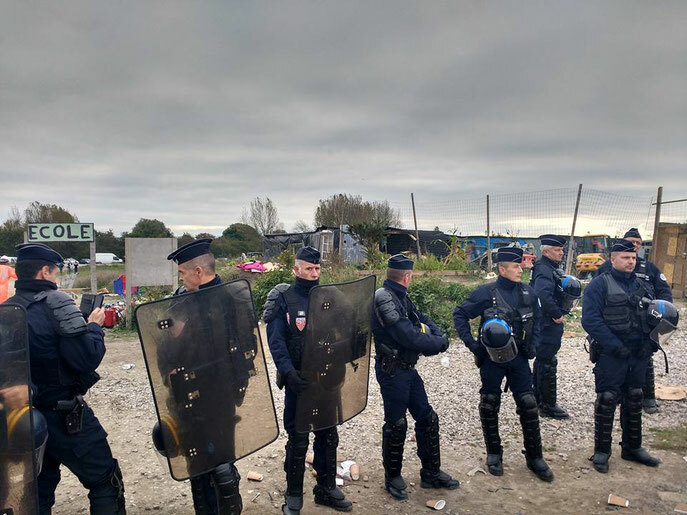 I've been wanting to help the people stuck at Calais since early last year, but excuses tumbled over each-other and it wasn't until last week that we finally sorted ourselves out enough to spend a little time around "the jungle"*. *The name made me uncomfortable before we went out, but since meeting a few of the refugees, I begin to think of it as a dark in-joke between those who've been forced to live in a situation that many of us wouldn't wish on our pets. 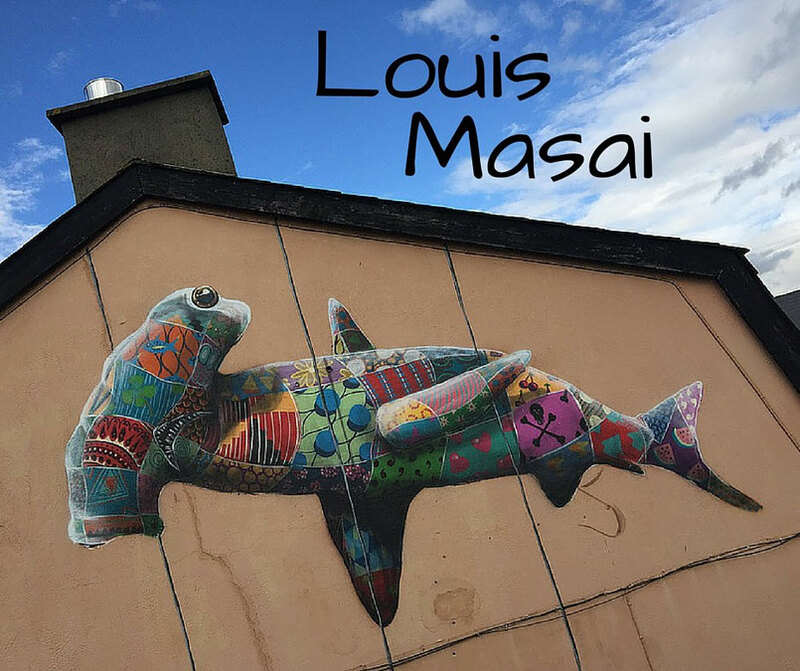 Artist Louis Masai on the environment, music and travel. 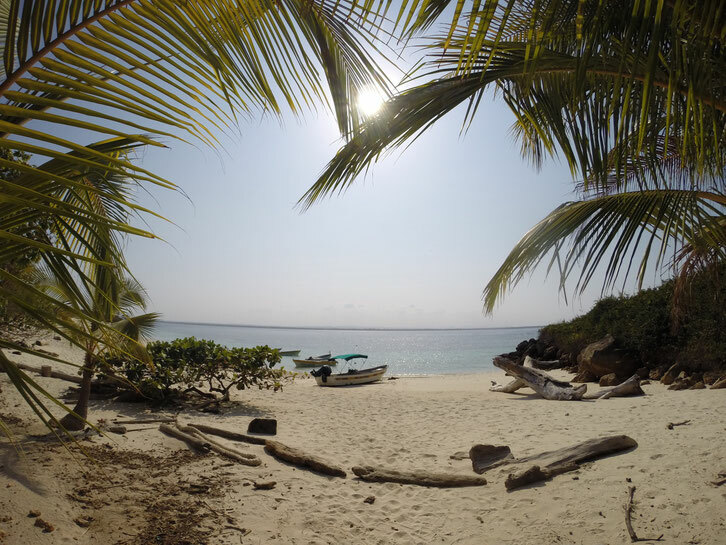 Panama- a budget travel guide by Jess Signet. 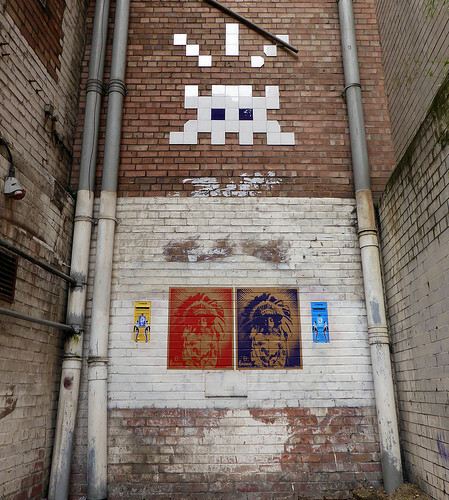 An interview with artist Olivier Leger. seemed perfect. I'll hope you'll enjoy getting to know the artist a little better as much as I have. 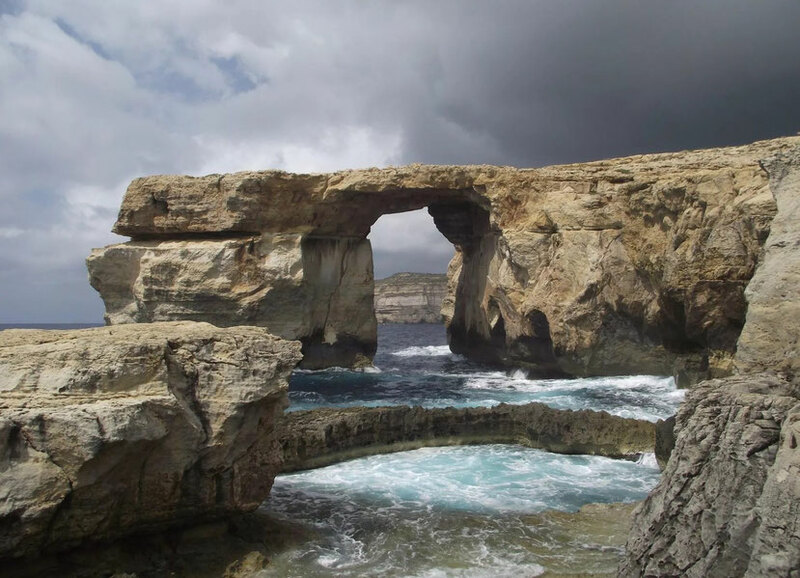 Thirteen great reasons to visit Gozo this Spring- Malta. The Azure Window and Blue Hole in the foreground. As the second time our family had ever gone abroad together, my Mum chose well with Gozo. Visiting in the Spring, it was warm (but not roasting! 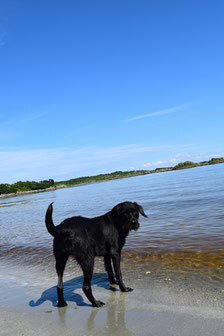 ), the flowers were blooming and most importantly for the Featherstones, we almost had the beaches to ourselves. 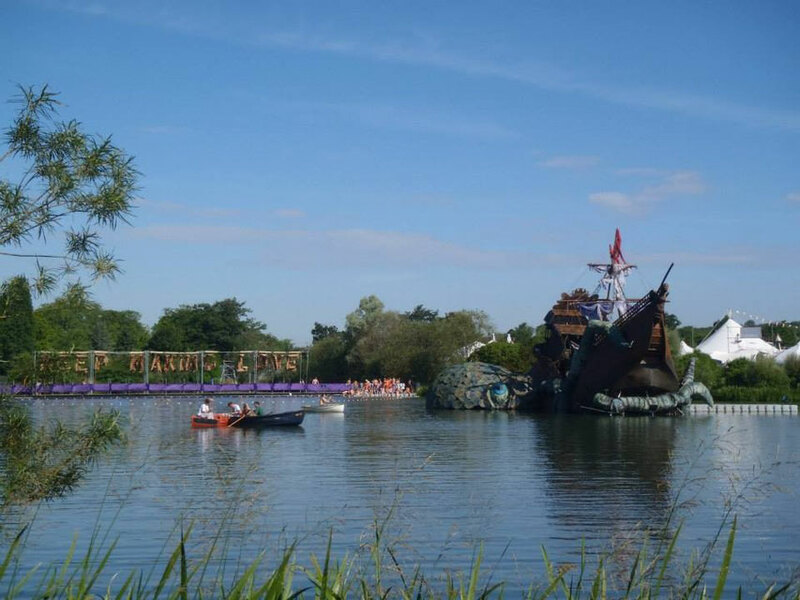 Approaching the end of July, somewhere in the countryside near Cambridge, England, an otherwise sleepy patch of farm land transforms into the Secret Garden Party. Stages hatch out from the fields, gigantic circus tents are pitched in clusters and psychedelic bunting stretches overhead. People abandon their mundane lives for a few days to loose themselves down the metaphorical rabbit hole. These men (the one on the right, not me) were collected from their home and taken around Ecuador in a truck to build roads such as this one. They did not know how long they would be away from their families. Dan and I have spent the last two Christmases far away. Firstly in Australia back in 2013 and then somewhere in a Bolivian forest last year. This year we made the journey up to Scotland, narrowly dodged the UK's December storms and squeezed onto one of the few remaining ferries that made the crossing to the island. 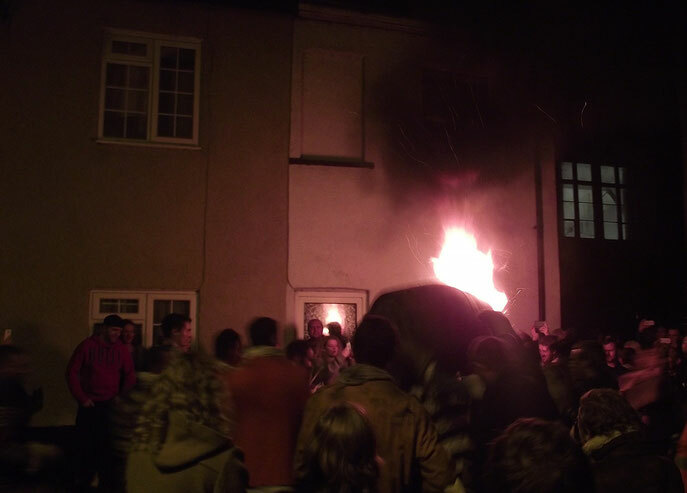 Ottery St Mary Tar Barrels (weird and wonderful things to do if you find yourself in Exeter- part 4). Before experiencing Ottery St Mary's unique Guy Fawkes celebration, I couldn't have imagined such an event could possibly have survived Britain's nanny state long enough to pass on its legacy. For a first-timer the spectacle is confusing; the village is flooded with spectators, after the enthusiastic locals, a crowd of primarily drunken young people from the surrounding area. The mood is impatient as we strain our necks in anticipation, until a plume of smoke and roaring flames give away the tar barrel's spot. This quietness is the tell tale calm. As the barrel comes up above shoulder height, the furnace seems to mill about in the distance for an eternity. Is this what we've come to see? 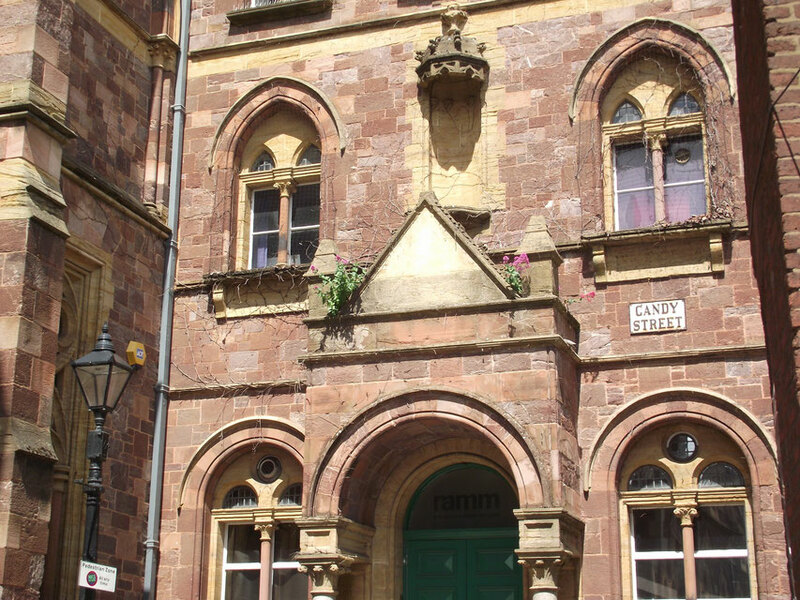 Weird and wonderful things to do if you find yourself in Exeter- part 3. Finding our green fingers in Langkawi, Malaysia. 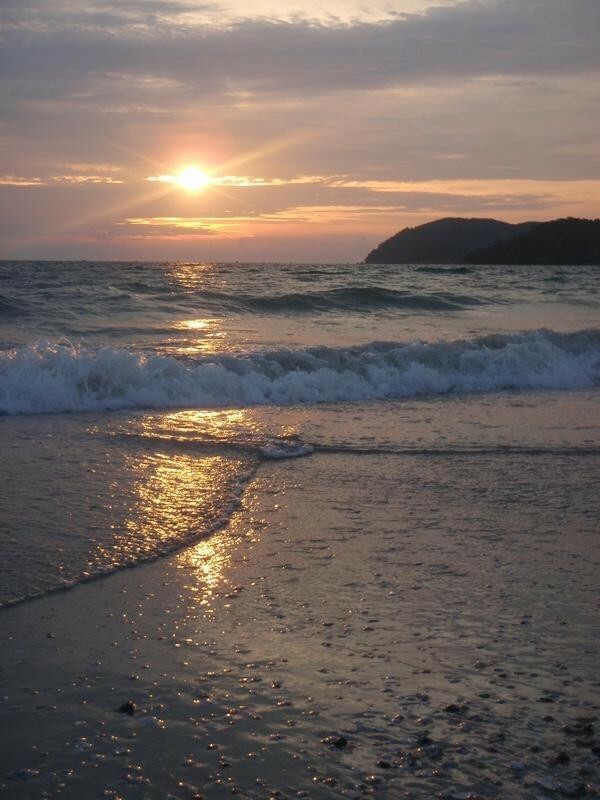 Langkawi is actually a string of over a hundred islands not too far off the North-West coast of Malaysia. We only visited the largest of them, Langkawi itself, but with long, sandy beaches, jungle coated mountains and a rich variety of wildlife, it had everything I'd hoped for in a tropical paradise without the fringing of lobster sunbathers. 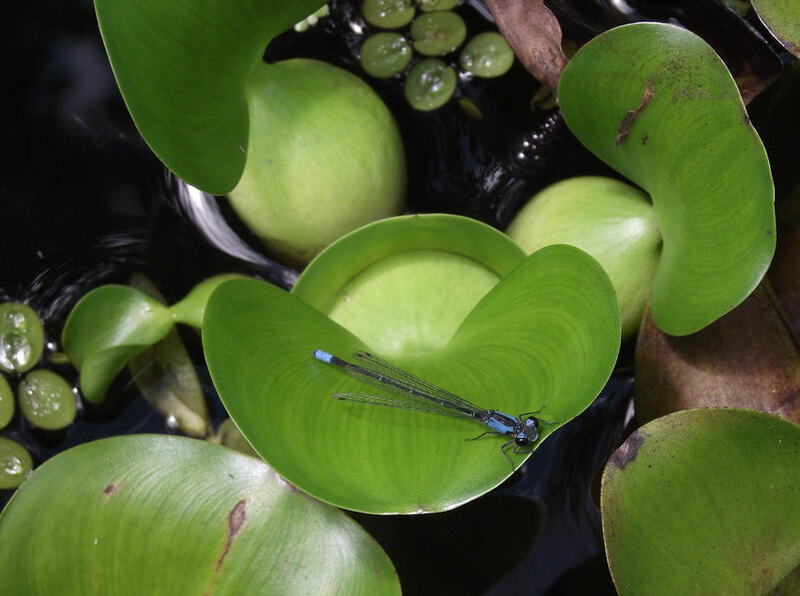 Although the coastline is stunning, we spent the majority of our time exploring the island's green interior. After dragging my pack around a 45 miles Ten Tors* expedition that felt like the closest I've ever come to dying of exhaustion, I've had an interesting relationship with Dartmoor. 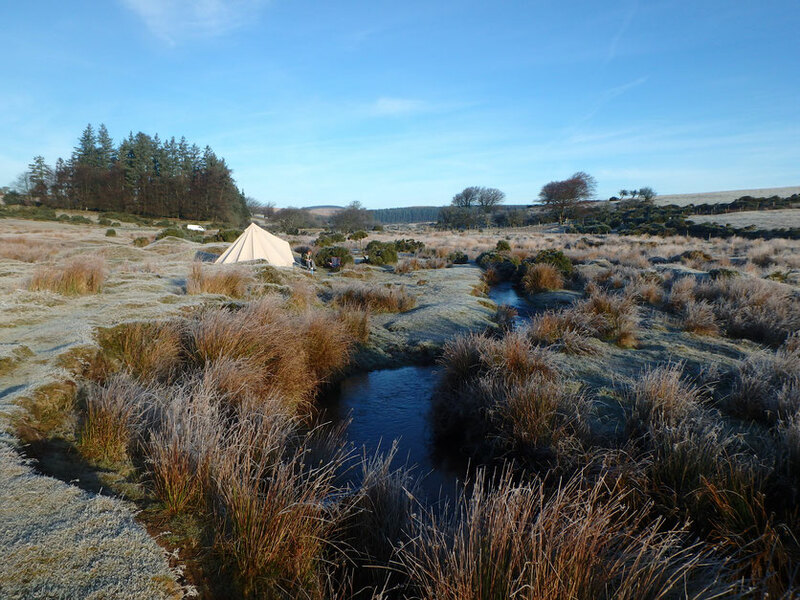 This is one of the few places in England where it is free and perfectly acceptable to camp almost anywhere you like but, ignoring the rolling hills of desolate moorland, we headed into the forest near in search of a covered clearing to pitch out tents. 2013: view from the hill of death. 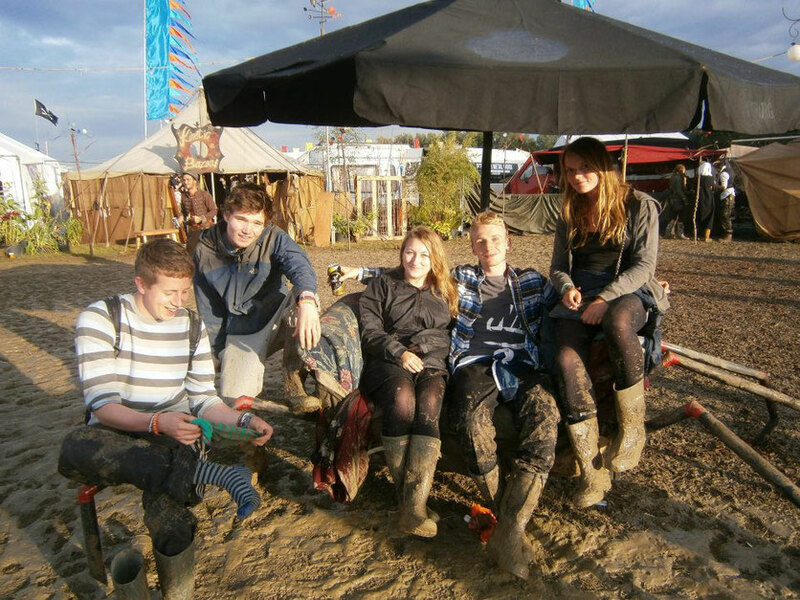 Three years ago my weirdo friends and I experienced Boomtown Fair in it's relative infancy. Ramshackle constructions lined the streets as hoards of wide-eyed inhabitants bumbled around in a mixture of wonder and confusion. The gigantic spider Arcadia was our focal point. 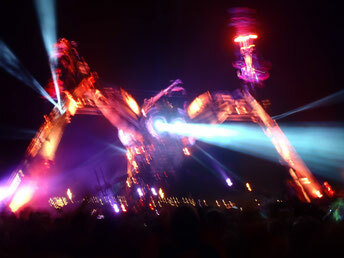 Grown from recycled metal, it had flaming acrobats twirling from its legs and heavy drum and bass bursting from its chest. We were mesmerised. 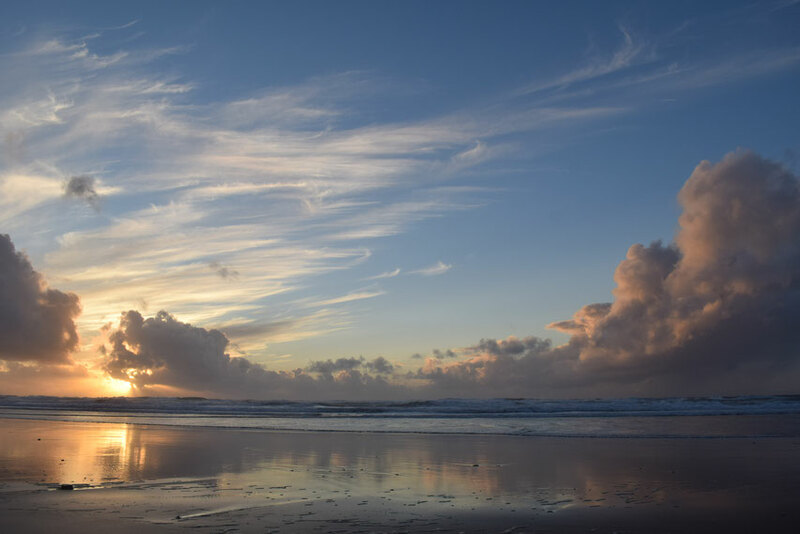 English speaking, easy to get around and lined with long, sandy beaches, Australia's East Coast is perfect for inexperienced travellers. The distances should never be underestimated, but buses are simple and for the slightly more confident, it's perfectly possible to hitchhike. Big hostels often attract a young, party crowd though older travellers can always find smaller, independent accommodation or even better camp. 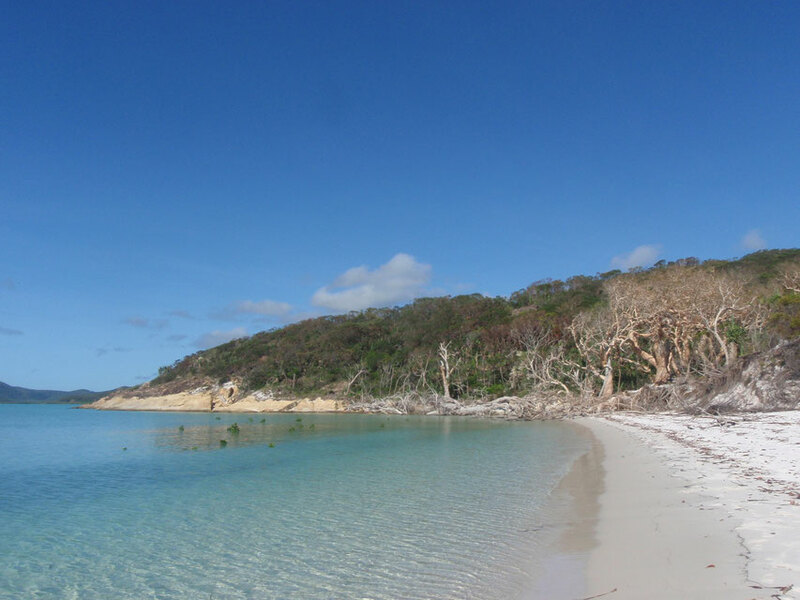 This post will focus on some of the East Coast's islands and backpacker highlights that I loved on my first trip to that side of the world. If you're trying to plan a gap year, this should be perfect for you. 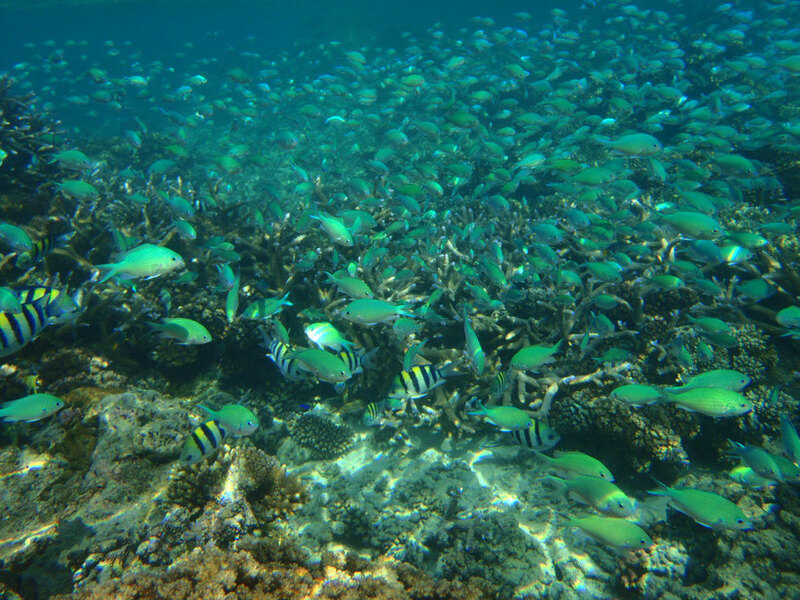 Hopefully, more experienced travellers will also appreciate the stunning coastal scenery, brilliant snorkelling opportunities and unique wildlife. Just a little hitchhiking, Mull and Islay- the Hebrides, Scotland. 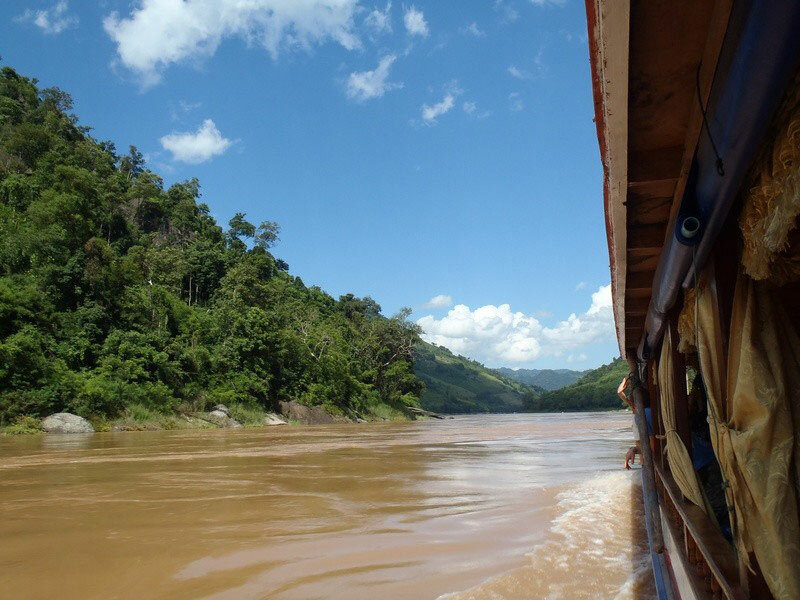 Floating down the Mekong to Luang Prabang, Laos. 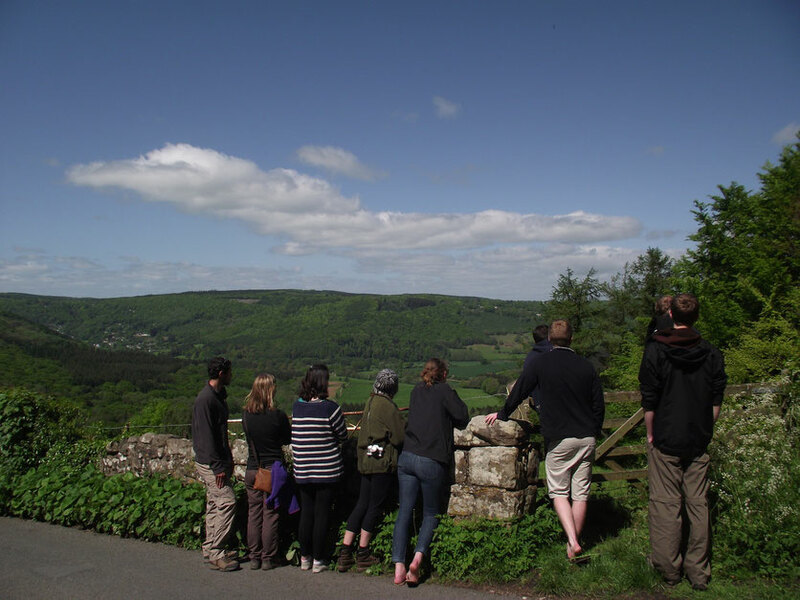 The Forest of Dean and canoeing along the river Wye- border between England and Wales. 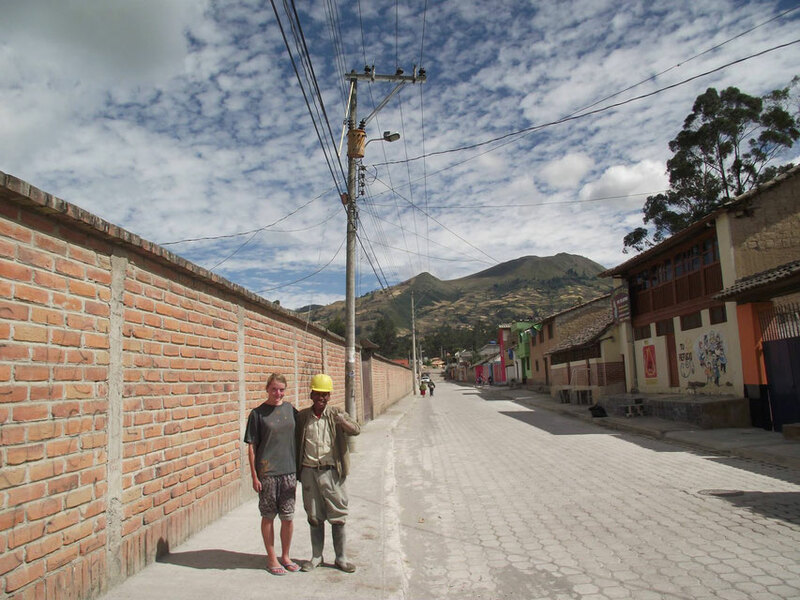 Bumbling through central Bolivia- crazy cities and very many monkeys. 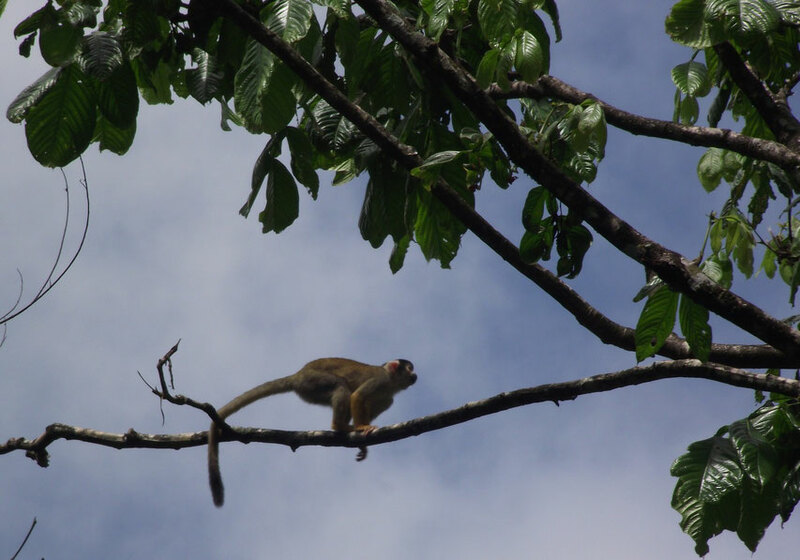 Spider monkey in Villa Tunari. My last post from Bolivia? The last post from South America and the eight month adventure that Dan and I drew out for as long as physically possible. We had to fly back at the beginning of this year- it's already April, but I still can't quite get over it! Anyway... the post is entitled "bumbling" as by this stage in the journey we had extremely dwindling funds and really no idea what we were going to do for another two months. Not everywhere we went I could recommend, but I'll share all the information in case you find yourself in a similar situation. Otherwise just sit back and enjoy the monkeys. 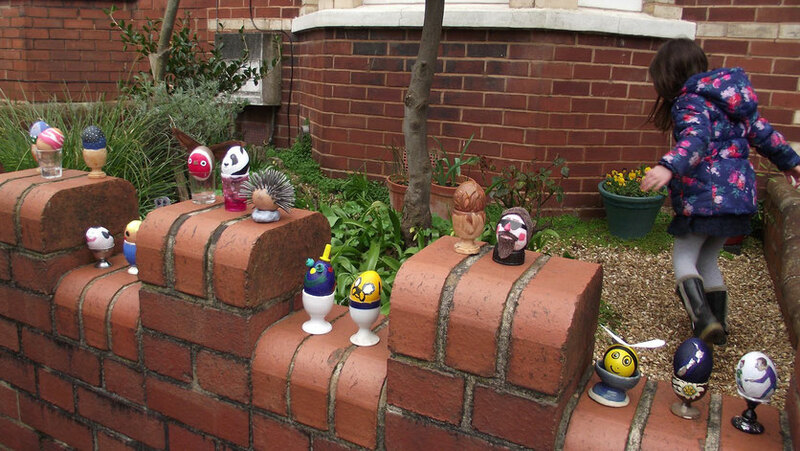 Unusual Easter celebrations on Morley Road, Exeter. Dangers, disasters and dodgy situations in Peru and how to avoid them. Peru is an incredible country with culture and wildlife as varied as the landscape. A mountainous spine teeming with archaeological sites and home to many proud indigenous communities divides the land between the desert like coast line and the Amazon. With the fastest growing level of tourism in South America, increasing a whopping 25% annually* and now taking its place as Peru's third largest industry, you could be forgiven for thinking there is safety in numbers. Maccu Pichu is top of many backpackers “bucket-lists” and the country as a whole has been a firm favourite on the trail for several decades. With all this in mind, I was surprised to hear of more traveller disasters in Peru than I did in either Colombia or the capital of Trinidad and Tobago. Why was that and how can you avoid the potential problems? 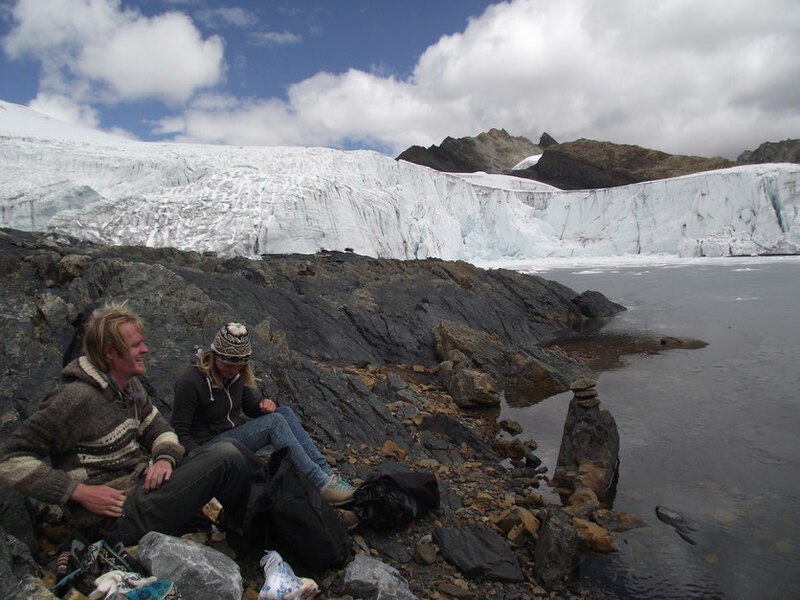 Dan and I admiring the view at Nevado Pastoruri, near Huaraz, Central Peru. International Women's Day- Why is Feminism still a dirty word? Today is International Women's Day and that means it's a whole year since I discussed why feminism was still a dirty word. 2014 was a good year for women- Malala Yousafzai won the Nobel peace prize at only 17, progress has been made in the fight against FGM and for women of around my age it became almost fashionable to call yourself the F word. "I’m very proud of being a woman, and as a woman, I don’t even like the word feminism because when I hear that word, I associate it with women trying to pretend to be men, and I’m not interested in trying to pretend to be a man. I don’t want to embrace manhood, I want to embrace my womanhood." 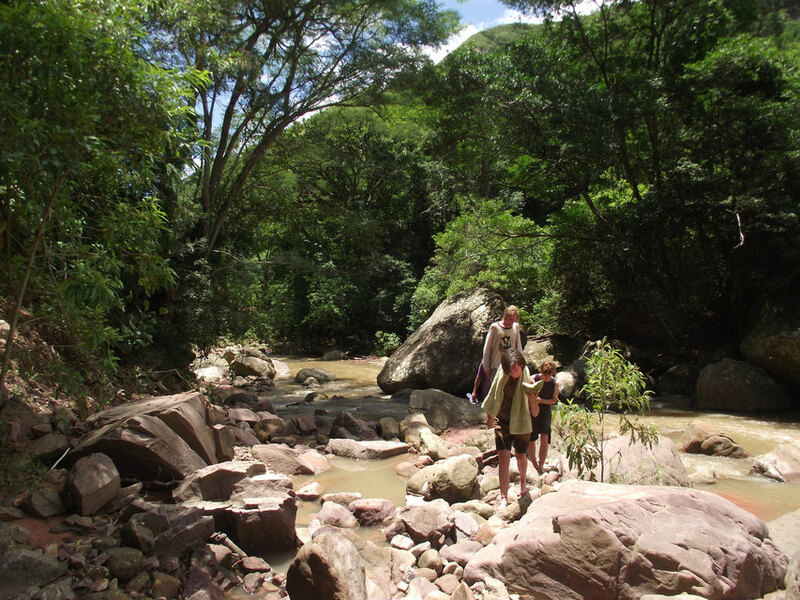 El Jardin eco-campsite and accommodation, Samaipata, Bolivia. Having spent a week or so hopping from one nasty, [relatively] expensive accommodation to another, we were heading to Samaipata in the hopes of finding a peaceful campsite. Being enormously ripped off on a long, hot day of buses, I was feeling quite miserable by the time we arrived. It was dark, raining, everything was soggy and I wasn't appreciating being stuck back in our one-man tent. Balancing electronics and valuables on a mountain of shoes, under waterproof coats in our 'porch' to stop the water from destroying them didn't lead to the most restful night's sleep. 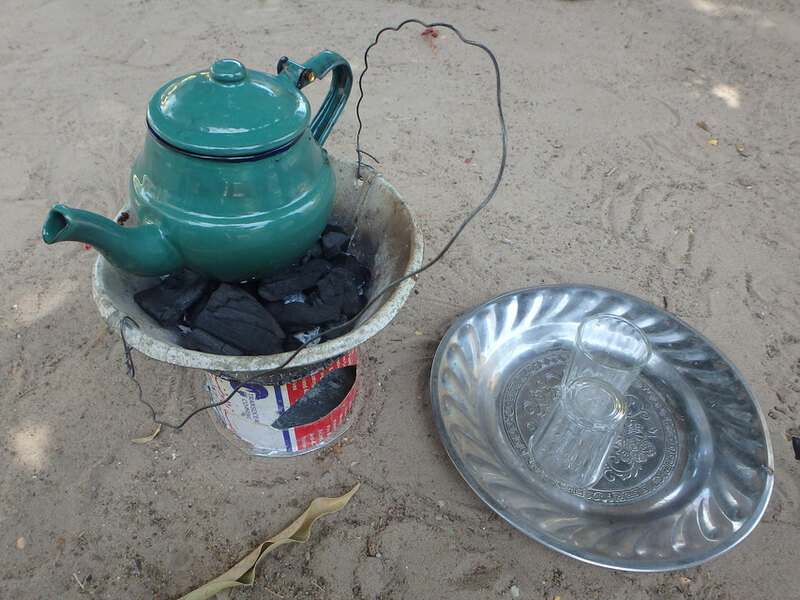 Camping for beginners: how to build a cooking fire. I'm sorry to point out the obvious to those of you who know, but for the first-time camper building a good fire can often be a challenge. These are my trusted methods, materials and tips that work (nearly) every time. 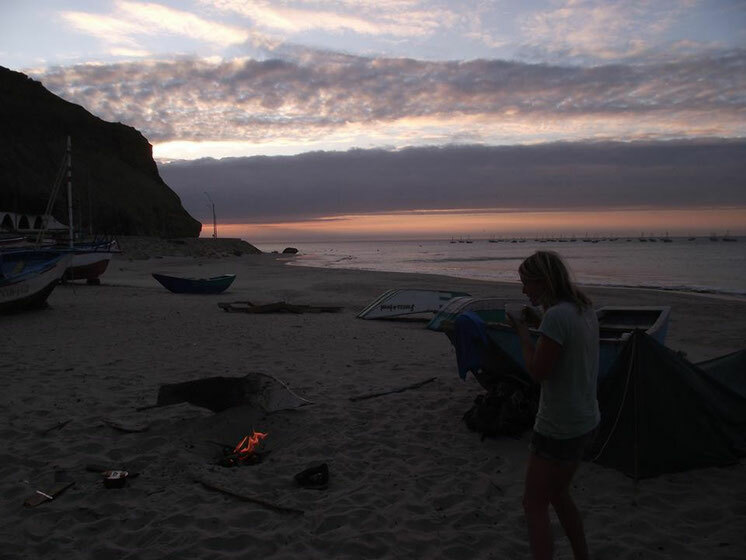 Cabo Blanco, Peru- building a cooking fire on the beach. Falling down the rabbit hole- life in the woods at Espiral de Luz, Samaipata, Bolivia. 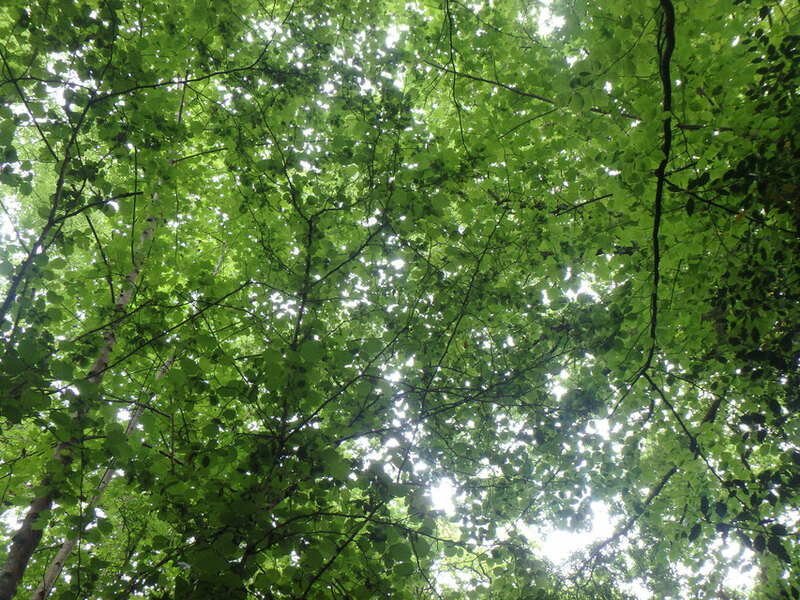 I've been struggling for weeks over this post- how to explain my two month hiatus, how to cobble my words and photographs into describing my total infatuation with this little patch of woodland. It's been twenty-six days since we were forced to leave, but I still wake up expecting to hear the sound of insects, before realising the sad truth and missing the beautiful simplicity of that life. I'm finding it hard to move on, to step forward into modernity and realise I don't like the way the world is going, but lets start at the beginning. This site is written and edited solely by me (Katie). Please contact me if you find any typos or mistakes! You can find Feathery Travels on facebook, twitter, instagram and pinterest. 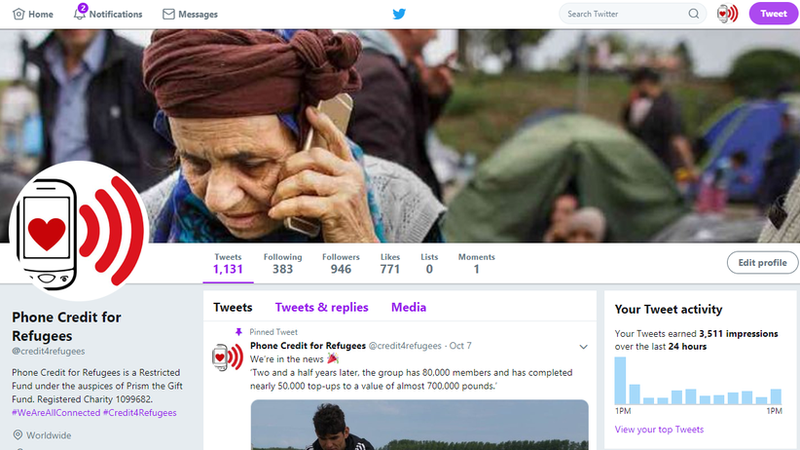 Phone Credit For Refugees and Displaced People is a volunteer run organisation. I can't stress their importance enough - please click on the image below and join the facebook group to find out how you can help. If you are not on facebook, you can still donate here.